© 2002, © 2018 by Paul Freeman. Revised 4/19/18. The original Newton Airport, as depicted on the 1927 Airway map (courtesy of John Goerzen). Photo of airport while in use has not been located. 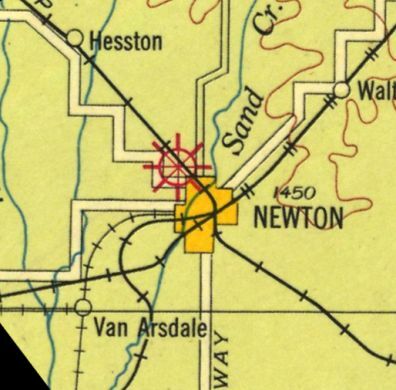 The original airport for the town of Newton was adjacent to the northwest side of the town. and around 1927 the city of Newton purchased it, because of all the planes that were landing there. 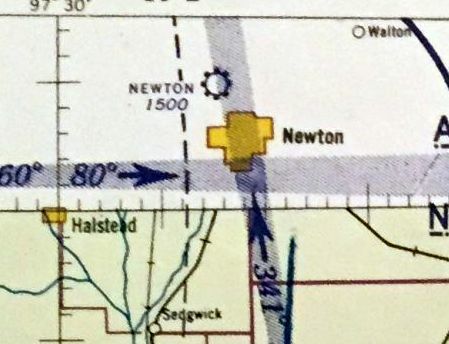 The earliest depiction which has been located of Newton Airport was on the 1927 Airway map (courtesy of John Goerzen). 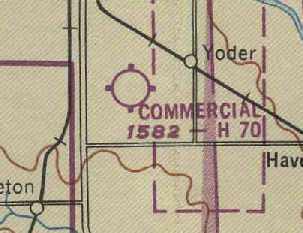 The last aeronautical chart depiction which has been located of the original Newton Airport was on the February 1943 Wichita Sectional Chart. It depicted Newton Airport as a commercial/municipal airport. as only Wirt Field was depicted on the February 1944 Wichita Sectional Chart. 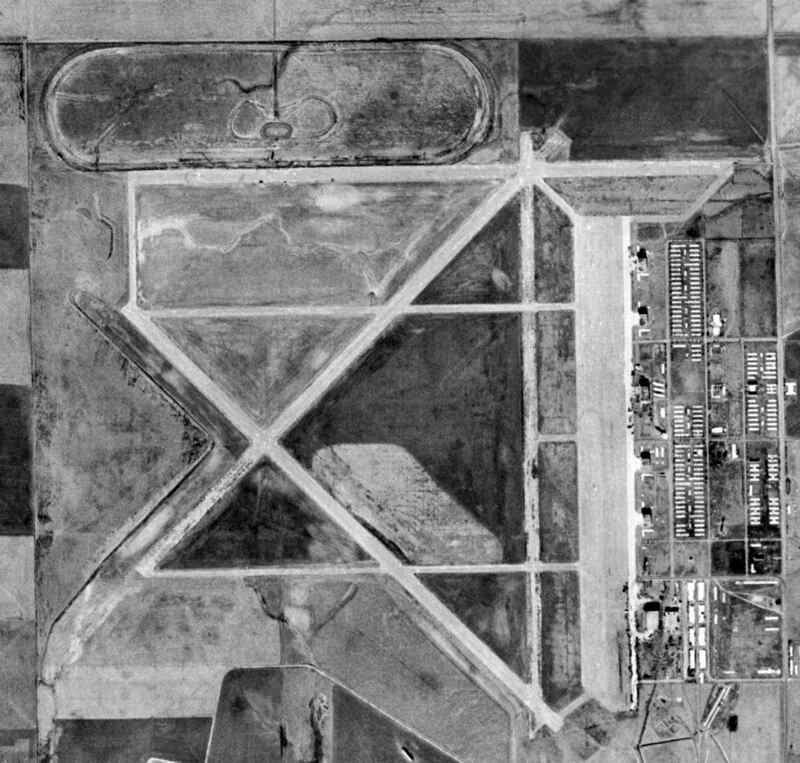 A 1956 aerial photo showed no recognizable trace of an airport at the site of the original Newton Airport on the northwest side of the town. Although the precise location of the original Newton Airport has not been determined, a 2017 aerial photo showed no recognizable trace at the general location. 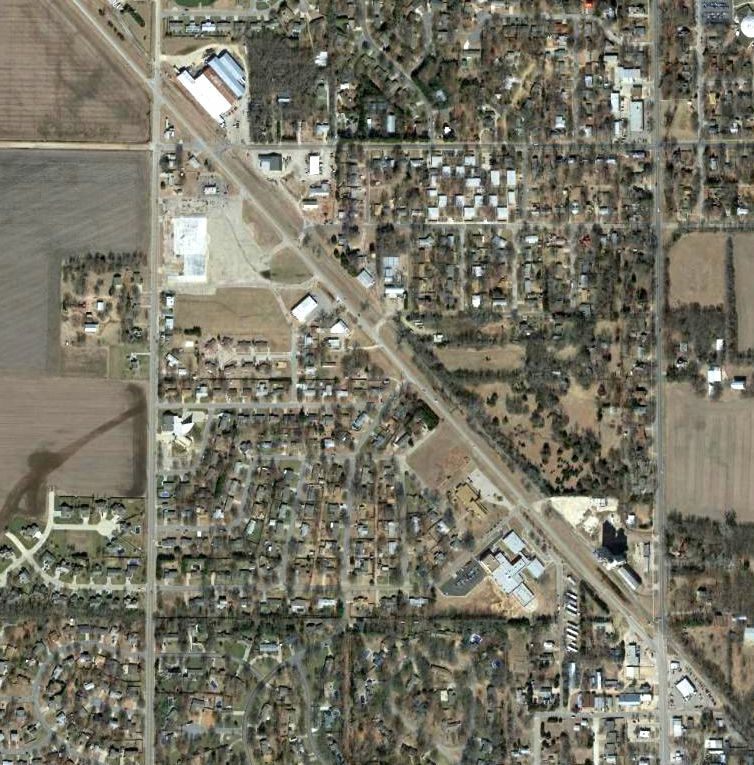 The site of the original Newtown Airport is located roughly northwest of the intersection of North Main Street & Old Highway 81. Thanks to John Goerzen for pointing out this airfield. 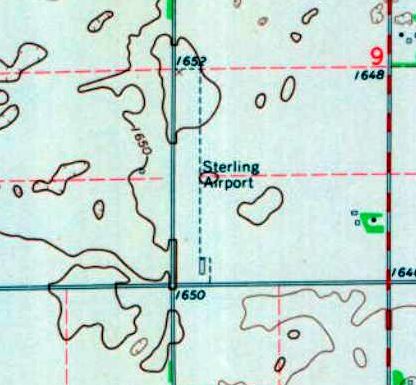 Sterling Airport, as depicted on the 1955 USGS topo map. as it was not yet listed among active airports in the 1945 AAF Directory (courtesy of Scott Murdoch). 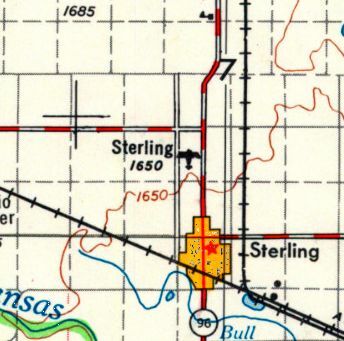 The earliest depiction which has been located of Sterling Airport was on the 1955 USGS topo map. 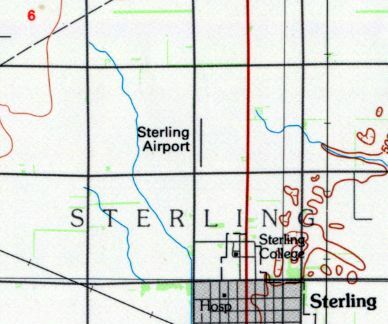 The most detailed depiction which has been located of Sterling Airport was on the 1967 USGS topo map. It depicted Sterling Airport as having a single unpaved north/south runway with 1 small building on the southeast side. 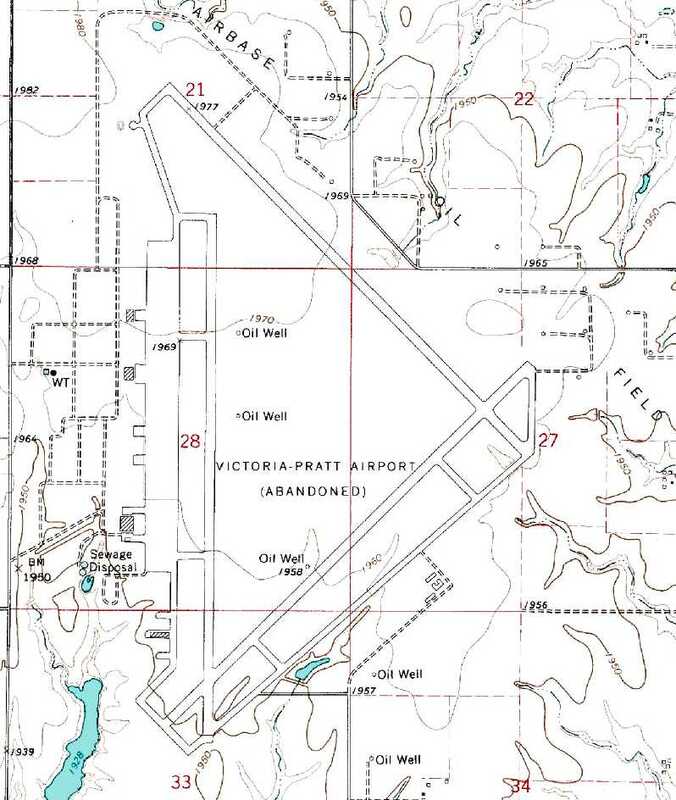 The last depiction which has been located showing Sterling Airport in operation was on the 1985 USGS topo map. 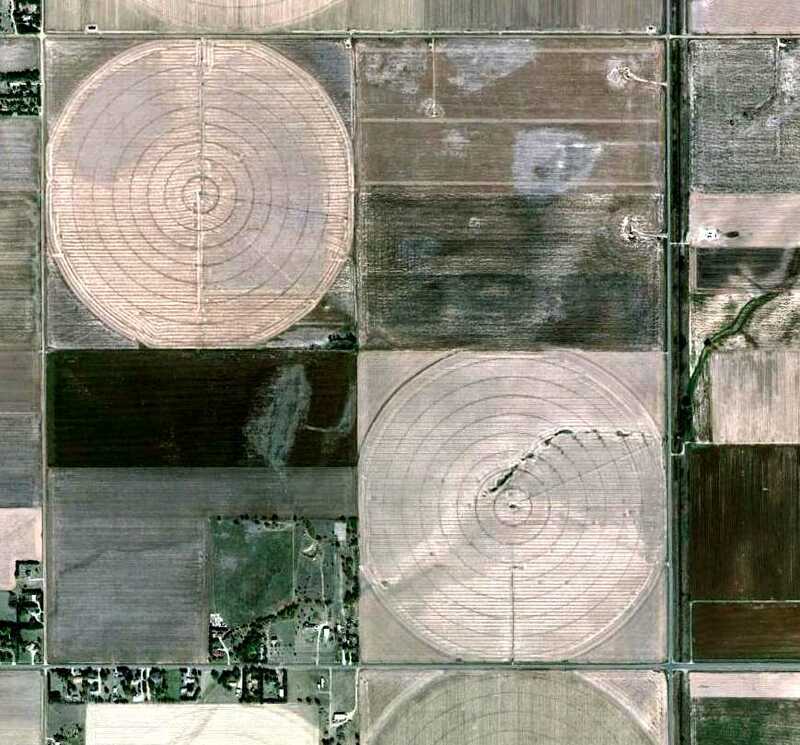 as a 1991 aerial photo showed the runway had been covered by a circular-irrigation farm field. The hangar remained intact on the southeast side, though. with the runway area covered by a circular-irrigation farm field, but the hangar remaining on the southeast side. A closeup from the 2011 aerial view shows the letters “Sterling” are still visible on the former Sterling Airport hangar. 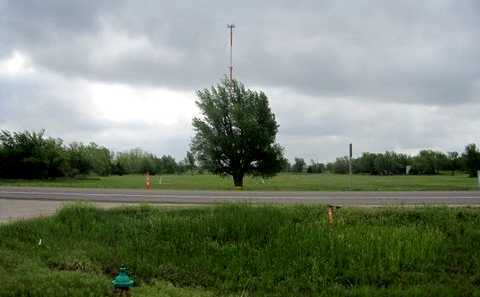 The site of Sterling Airport is located northeast of the intersection of Avenue U & 15th Road. The original Great Bend Airport, as depicted on the 1930 Commerce Department Airway Bulletin (courtesy of Phillip Schulz). The municipal airport for the City of Great Bend has gone through a series of no less than 4 different locations since 1928.
was on the 1930 Commerce Department Airway Bulletin (courtesy of Phillip Schulz). It depicted a 74 acre T-shaped field located one mile north of the city limits. 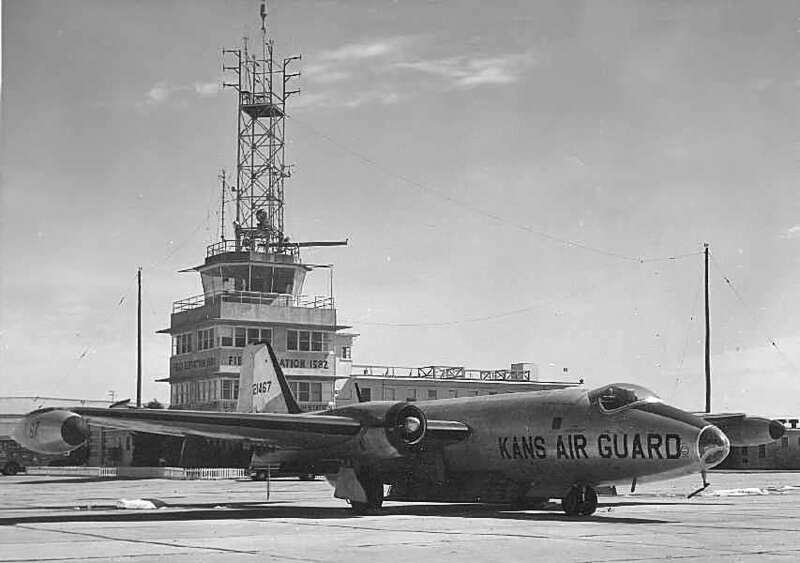 It described Great Bend Airport as having 2 sod runways, oriented 2,600' north/south & 2,050' east/west. 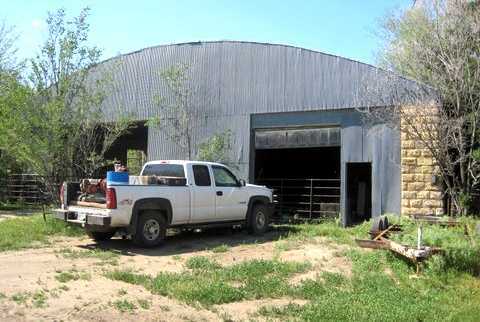 A single 55' x 50' frame hangar was said to have “Great Bend” painted on it. 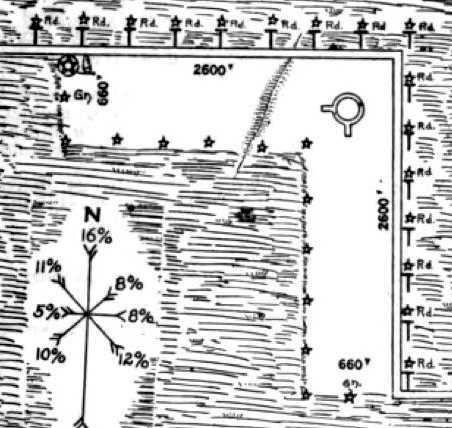 The field was described as being owned by the city, and operated by the Chamber of Commerce. and was replaced by the 2nd location of Great Bend Airport, 5 miles west of town. However, this location of the Great Bend Airport returned to use very soon. According to Phillip Schulz, “The Army Air Forces required Great Bend close the #2 airport due to the proximity to the AAF [which had been established in 1942-43]. 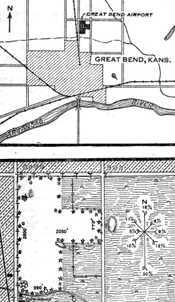 The city then leased ground north of Great Bend on the same land where the Airport #1 was located. [Great Bend Airport] Number 3 was in the shape of a T.
The hangar at Airport #3 was “built at the end of 1943 - early in 1944.
as published by the KS League of Municipalities (courtesy of Phillip Schulz). It depicted 2 runways in a T-shape, with 3 buildings along the southwest side. The earliest airfield directory listing which has been located of the 3rd location of Great Bend Airport was in the 1945 AAF Airfield Directory (courtesy of Scott Murdock). It described Great Bend Municipal Airport as a 50 acre T-shaped property having 2 bare runways, oriented 2,550' east/west & 2,400' north/south. A single 95' x 39' concrete block hangar was depicted along the southwest side. Bob Mullen recalled, the first Great Bend Airport “is the airfield where my dad taught guys to fly using their GI Bill from 1945-48. No airfield was depicted at this location on the 1960 USGS topo map. 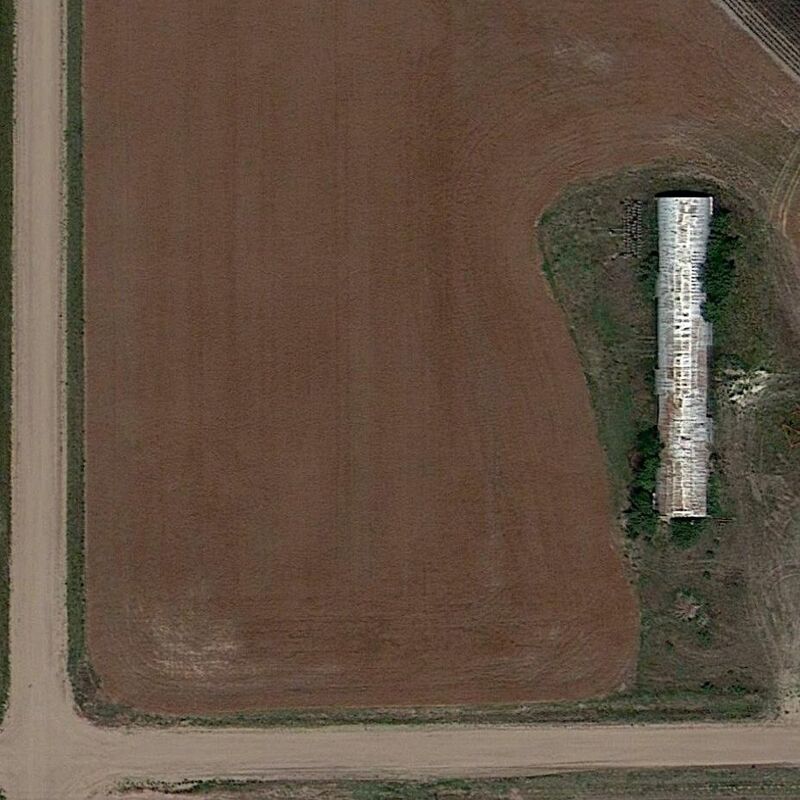 A 10/12/11 aerial view did not show any obvious trace of the 1st & 3rd location of Great Bend Airport. A 2013 photo by Phillip Schulz, who observed “A 3-stall hangar still stands on this site today. A 2013 photo by Phillip Schulz, who observed “The door system on this hangar is just amazing. A 2013 photo by Phillip Schulz, “Looking east down the former east/west runway of Airport #3. The standing hangar is the little white spot in the trees to the right. A 5/16/17 photo by Bob Mullen of the exterior of the remaining hangar at the site of the original Great Bend Airport. A 5/16/17 photo by Bob Mullen of the interior of the remaining hangar at the site of the original Great Bend Airport. A 5/16/17 photo by Bob Mullen of the pulley system inside the remaining hangar at the site of the original Great Bend Airport. The site of the 1st & 3rd location of Great Bend Airport is located southeast of the intersection of North Main Street & Northeast 20 Road. 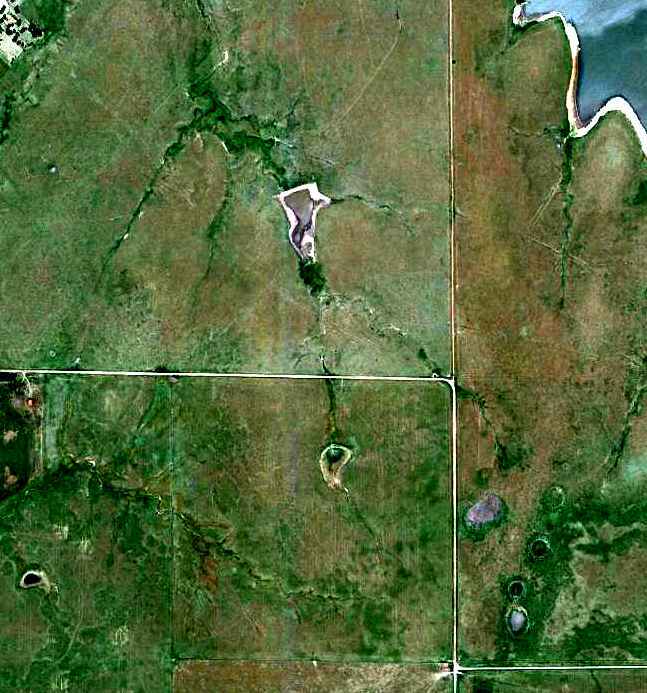 A 1991 USGS aerial photo of the site of the 2nd location of the Great Bend Airport. “the city went 5 miles west of Great Bend & built an airport & hangar. 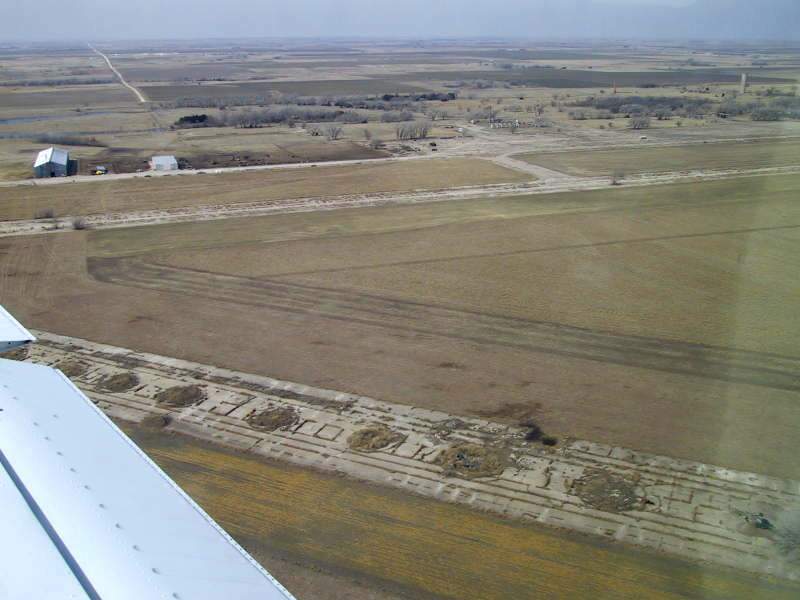 The city purchased a couple of limestone barns & tore them down & hauled the limestone blocks to the airport for the construction of the hangar. This location of the Great Bend Airport was in use for an extremely short period of time, however. According to Phillip Schulz, Great Bend Airport “Number 2 was 3/4 of mile northwest of the Great Bend Army Airfield that was established in late 1942 & 1943. No airfield was depicted at this location on the 1961 USGS topo map. 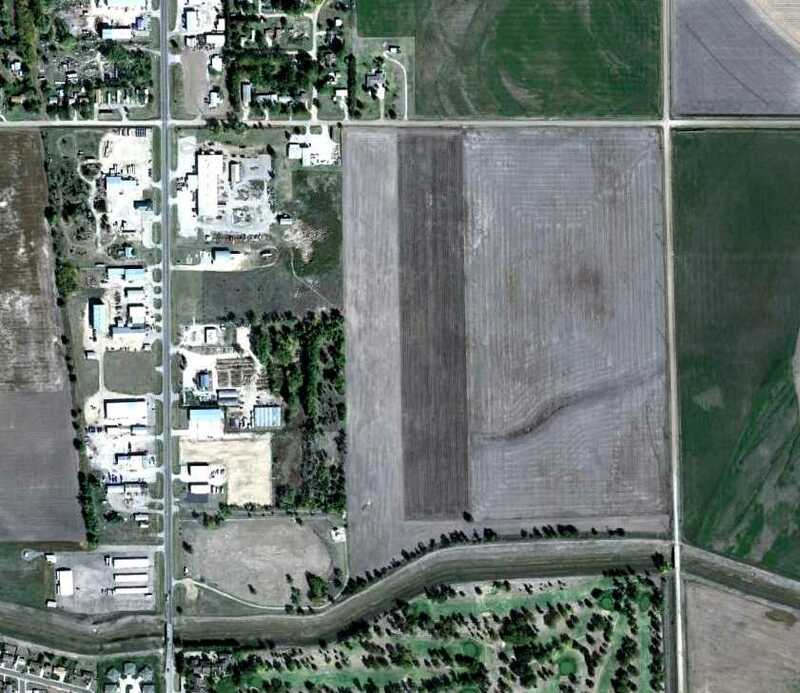 A 10/12/11 aerial view did not show any obvious trace of the 2nd location of Great Bend Airport. A 2013 photo by Phillip Schulz of the “Front of Hangar on [Great Bend Airport] #2, some 300' north of the farm house / office. The hangar is in great shape after some 70 years. A 2013 photo by Phillip Schulz of the interior of the hangar at the 2nd location of Great Bend Airport. A 2013 photo by Phillip Schulz “looking south down what was the original runway. The site of the 2nd location of Great Bend Airport is located at the intersection of Northeast 140th Street & Northeast Flinthills Road. 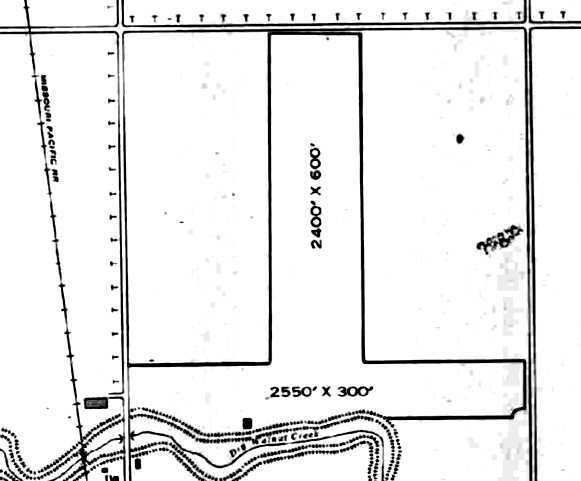 The 1928 Commerce Department Airway Bulletin (courtesy of Jonathan Westerling) depicted Cassoday Intermediate Field as having 2 unpaved runways in an L-shape. Jonathan Westerling reported, “The government established the Dallas to Kansas City airway between 1925-28 to guide pilots safely across the central US. At strategic places along the airway, they built 'Intermediate' airfields, equivalent to modern day rest areas for pilots to land at if needed. 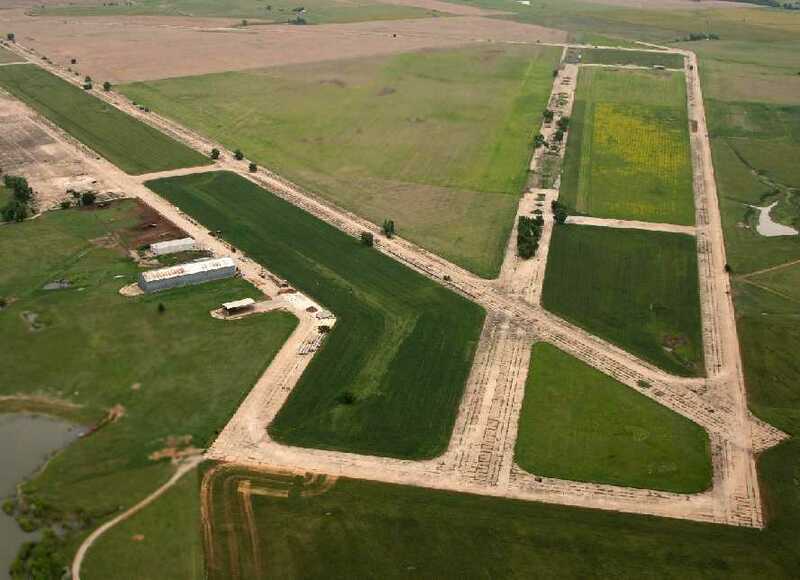 One of these intermediate airfields was in the tiny town of Cassoday, KS. An 8/19/27 Airway Bulletin announced the opening of the Dallas – Kansas City airway. Jonathan continued, “The 1928 Bulletin #5 (courtesy of David Brooks) incorrectly spelled it as 'Cassody'. Later that year, the government published an aeronautical bulletin about the airfield which identified it as Site #41 along the airway. The bulletin further detailed the field as being operated by the Department of Commerce & having 2 grass runways in an 'L' formation 2,600 feet long. In the northwest corner of the airfield was a 2-million candlepower 24 inch rotating beacon which rotated at 6 RPM. and this resulted in a renumbering of the airfields & beacons. and, according to the 1931 Bulletin #2 (courtesy of David Brooks) the beacon was upgraded with course lights & a weather teletype (FSS) station was installed on field. was on the 1933 Wichita Sectional Chart (courtesy of Jonathan Westerling), showing the Cassoday Intermediate Field & its associated airway. the government added emergency fuel on field & the runways had been extended to 3,270’ in length. This runway extension required relocating the east/west runway so that it intersected with the south end of the north/south runway instead of the north end. 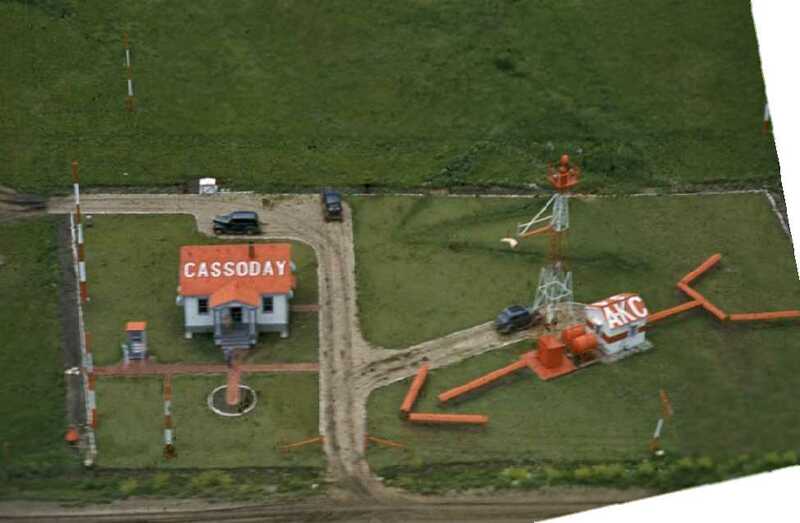 Jonathan Westerling observed, “One of the most detailed photos of a 'modern' airway beacon is this 1940 aerial photo (by David Scheram) of Cassoday. showed the revised layout, with the east/west runway at the south end of the field. as it was no longer listed among active airfields in the 1951 Directory of Airfields (according to Jonathan Westerling). 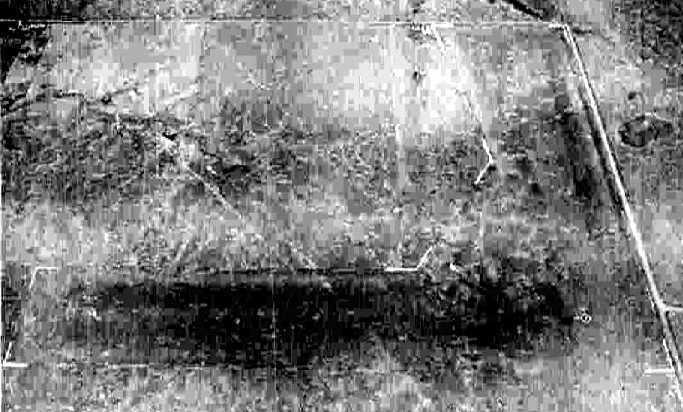 and there was no recognizable trace of an airfield on the 5/4/66 USGS aerial photo. A 9/5/11 aerial view did not appear to depict any trace of Cassoday Intermediate Field. 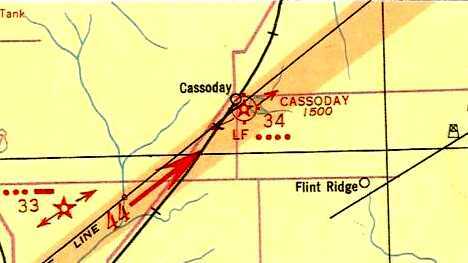 The site of Cassoday Intermediate Field is located at the intersection of Northeast 140th Street & Northeast Flinthills Road. A 6/30/43 plan of the "US Naval Air Station Hutchinson, Kansas" (courtesy of Ron Plante). according to “Survey Report of World War II Air Bases in Kansas” by Susan Ford. Construction for the base began in October 1942. An additional 3,900 acres were leased for up to 20 auxiliary landing fields. Hutchinson was constructed to provide primary training for the Naval Air Reserve. 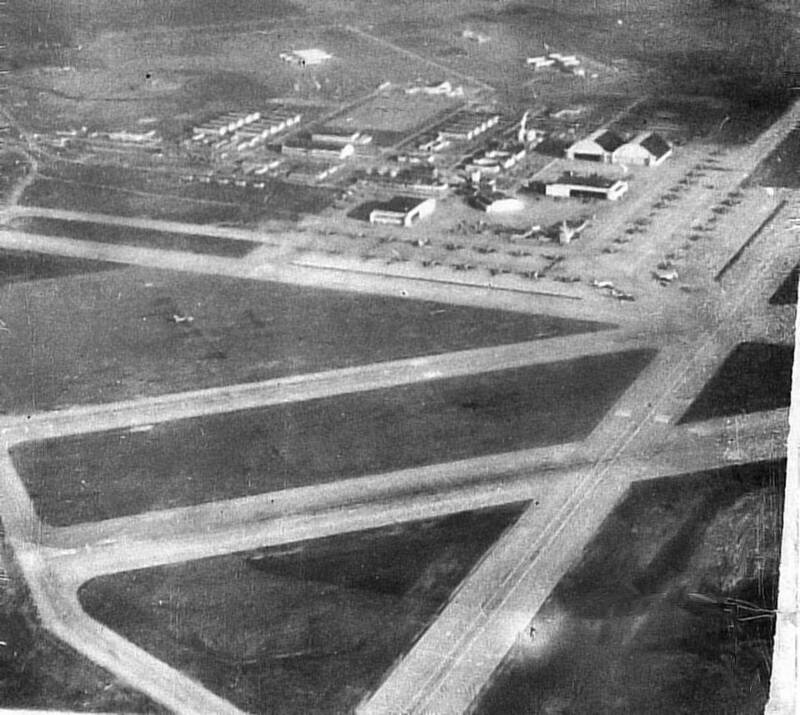 Until the station was completed, the Navy made temporary use of the town's municipal airport (located east of the town). NAS Hutchinson was commissioned at the end of 1942. 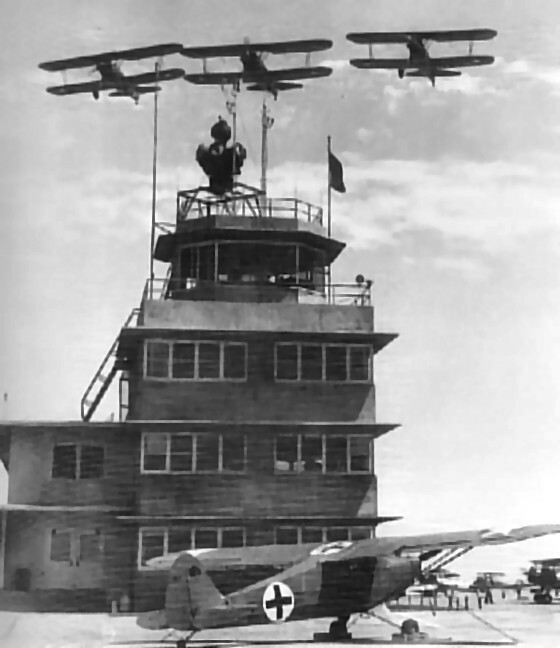 The first training planes used were N2S-3s & N2S-4s, which were later replaced by N2S-5s. was a 6/30/43 plan of the "US Naval Air Station Hutchinson, Kansas" (courtesy of Ron Plante). 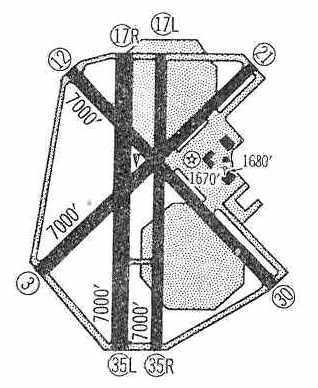 The runways of NAS Hutchinson were depicted on the weside side, which partially overlaid 2 octagonal landing mats. Another set of 4 much smaller runways, labeled "graded & sodded runways", were depicted on the east side. with the station's Piper HE-1 hospital plane in the foreground (National Archives photo). 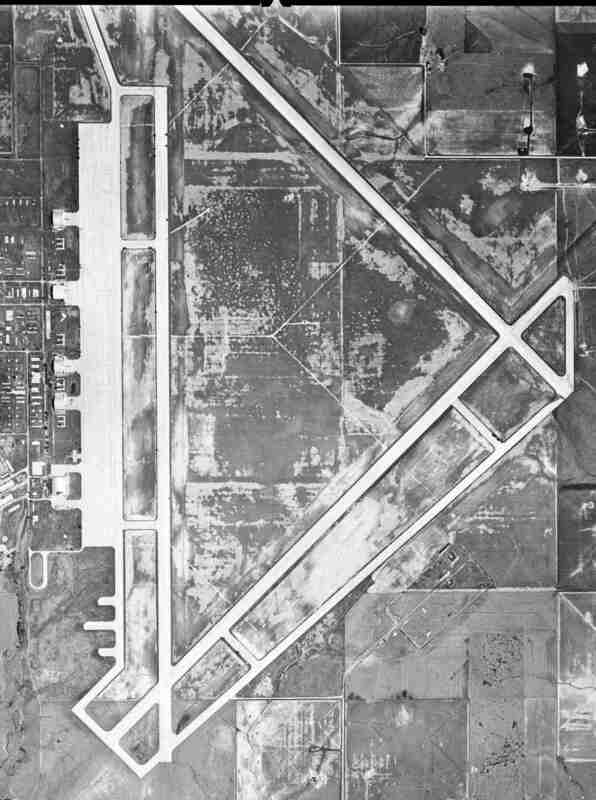 An August 1943 US Navy aerial view looking north at the small set of 3 grass runways on the east side of NAS Hutchinson (from the National Archives, courtesy of Brian Rehwinkel). Brian Rehinkel observed, “Regarding the set of runways, I suspect those runways were temporary runways used while the airfield was under construction. 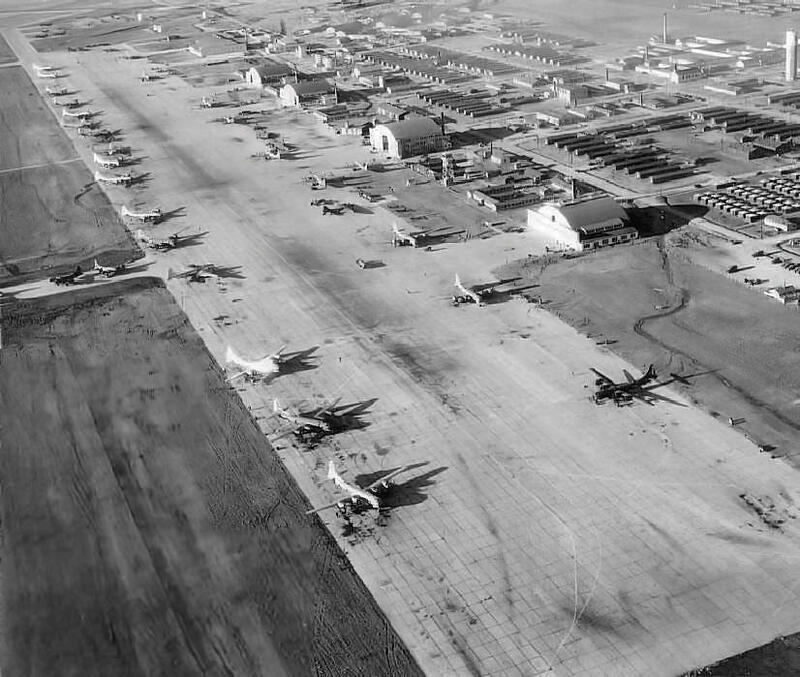 The Navy used the existing Municipal airport while the station was under construction, but I think they wanted to have a landing field at the air station as well. They were probably around 1,200' in length - enough room for those N2S trainers. By the time this picture was taken, the field is obviously not in use, and a building has been built on a portion of the field. A 10/8/43 US Navy aerial view looking north at NAS Hutchinson (from the National Archives, courtesy of Brian Rehwinkel). 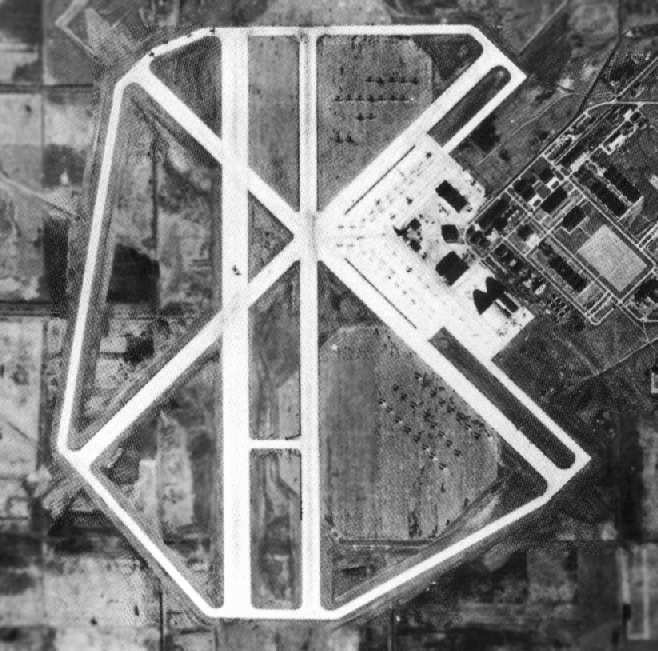 Brian Rehinkel observed, “NAS Hutchinson in its original configuration... You can see the three 5,000' runways & the 2 octagonal landing mats. 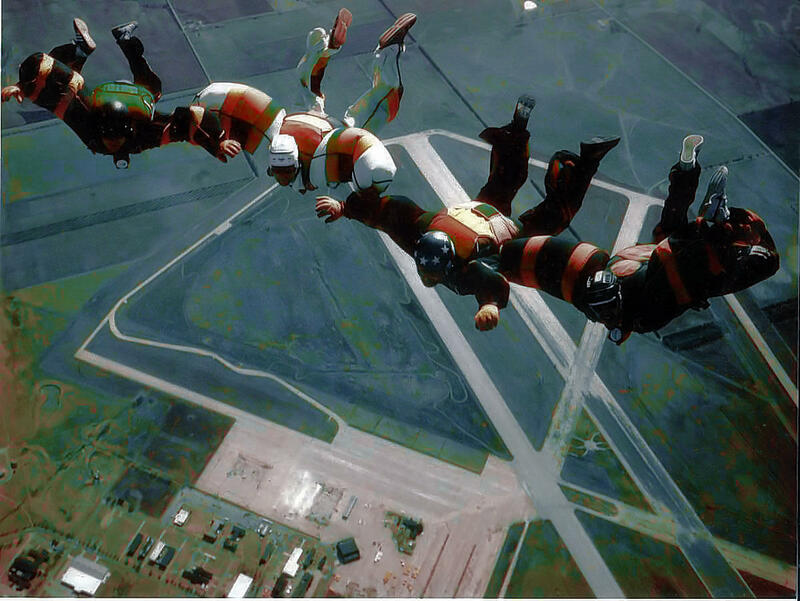 Brian Rehwinkel reported, “When the decision was made to transfer this station from primary training to operational training, the landing fields were dramatically changed. Hutchinson acquired another school, training crews of PB4Y-1 Liberator bombers, in 1944. At its wartime peak, Hutchinson had a complement of over 5,000 personnel. 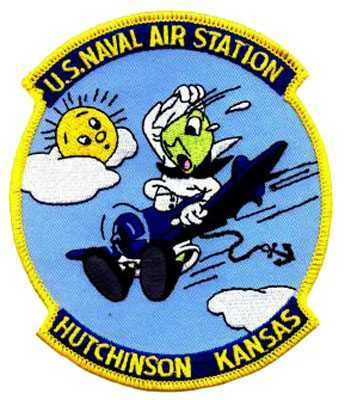 An undated patch for NAS Hutchinson. described NAS Hutchinson as having a 5,000' hard-surface runway. An undated (circa 1940s?) aerial view looking east at Hutchinson, with many aircraft on the ramp. and Searcy NOLF (near Stillwater, OK). Other sources indicate that Hutchinson had as many as 18 auxiliary fields at one point during WW2. 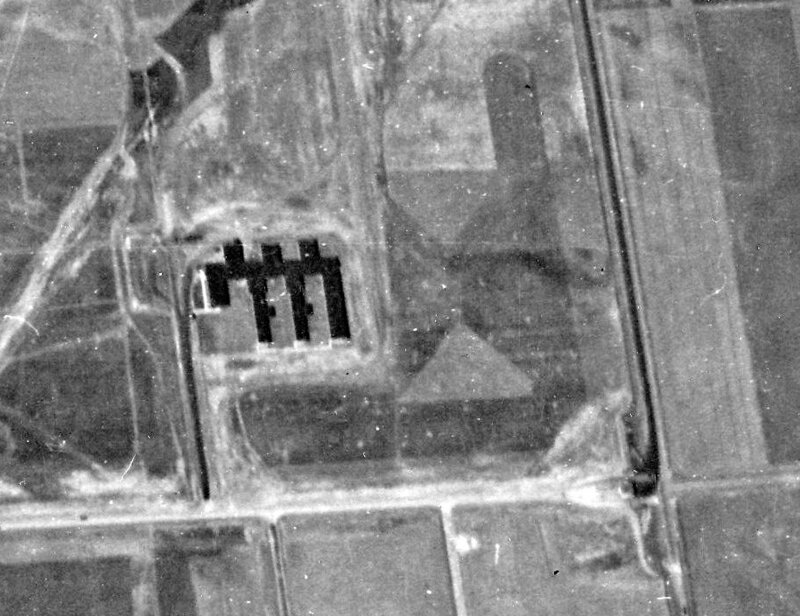 A 1945 aerial view of Hutchinson (National Archives photo). An undated (WW2-era) photo by Bob Zimmerman of a PB4Y-1 Liberator being refueled at Hutchinson (courtesy of Steve Arthur). "This double hangar was located south of the control tower & on the east side of the flight line & the doors faced to the south. 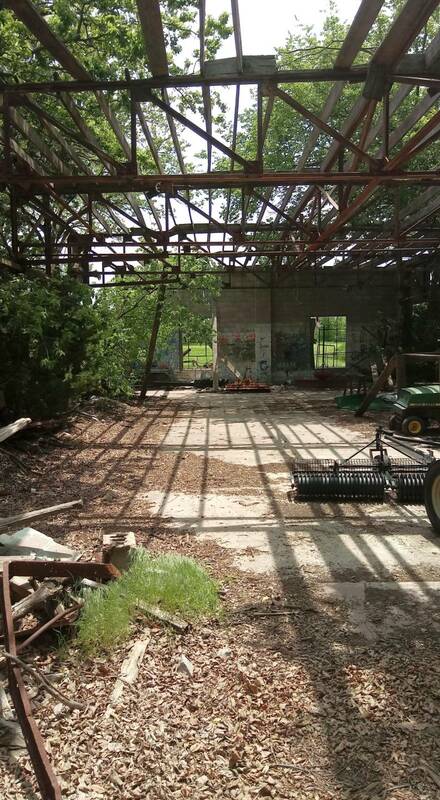 Today, the only remnants of the hangars are bits of foundation, rebar, and the steel tracks that the doors rode in." "Hutchinson (Navy)", as depicted on the March 1945 Wichita Sectional Chart (courtesy of Chris Kennedy). Hutchinson NAS was disestablished at the end of WW2. as depicted on the March 1949 Wichita Sectional Chart (courtesy of Chris Kennedy). It was depicted as having a 7,000' hard surface runway. on the October 1950 USAF Wichita Sectional Chart (according to Chris Kennedy). NAS Hutchinson was reactivated in 1952 for multiengine training, with P4Y2 Privateers. [at] the large hangar, R4D, SNJ, and in the background an F6F. There were two F6Fs that were used more for fun. 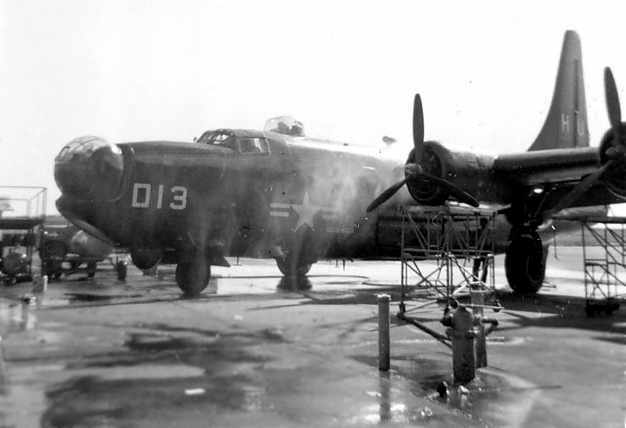 A 1953-54 photo by Cleland McBurney “of one of our PB4Y2s on the wash rack on the south ramp” of Hutchinson. Cleland McBurney recalled, “I was satationed there in PB4Y-2 training in 1953-54.
was for the purpose of the Navy's advanced training for multi-engine pilots. The French Navy had a very few of their cadets & officers under the same training. Several were good friends of mine. and I recall standing personnel inspection in them in the winter out of the cold. They were large enough to handle several PB4Y-2s at a time. In addition of the Privateers, the Navy also had a training squadron of P2V-3 Neptunes. and the Privateers were being phased out. 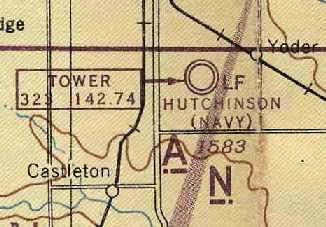 NAS Hutchinson was depicted on the June 1954 USAF Wichita Sectional Chart (courtesy of Chris Kennedy). Tom Dailey recalled, "In the 1950s… training took place with PB4Y2 Privateers. My Uncle William was stationed there during that time. Bill often spoke of having to work on those Privateers in the winter wind, and freezing his hands as only a Kansas Winter can do. Oil would turn into sludge, and as 'airy' as a PB4Y2 is (I know), they weren't very warm, either." 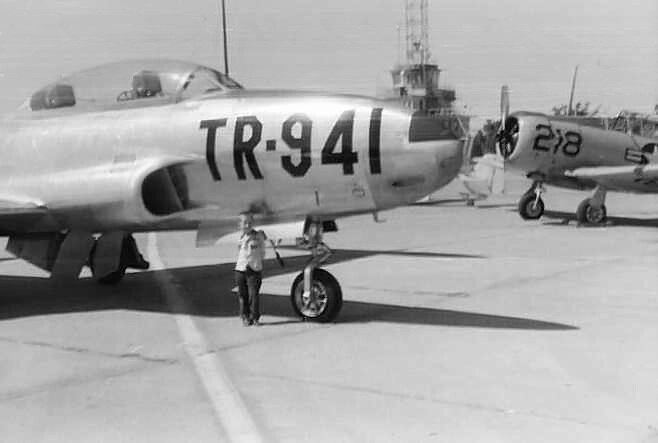 A 1954 picture of Dan Downing in front of a T-33 at an airshow at Hutchinson, with the control tower & an AT-6 in the background. "I was 5 years old then & don't remember much, but I do remember the Blue Angels were there! That's probably about the time the airplane bug bit me!" 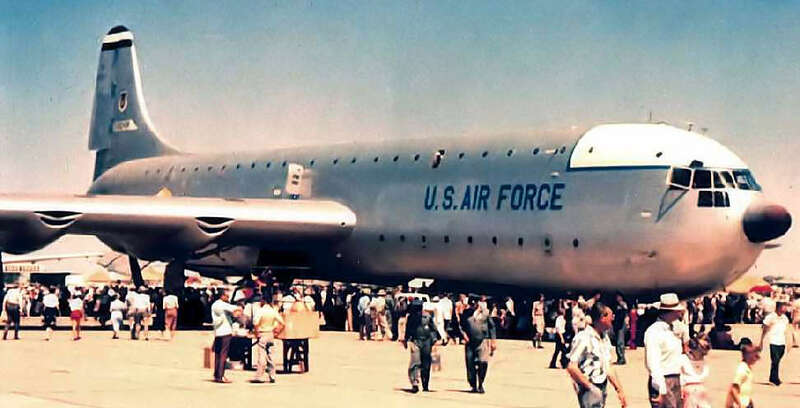 A mid-1950s photo by Richard Swett of the sole prototype of the massive Convair XC-99 transport at a NAS Hutchinson airshow. Allan Richardson recalled, “I went to an advanced school & studied some of the true multi-engine electronic simulators made by ERCO. I taught these at my final duty station, which was in Hutchinson - a strange place for a Navy Base in the geographic center of the USA. I ended up teaching in P2V-7 Operational Flight Trainer trailers. They did an amazing job of simulating a P2-V.
flew F-80 Shooting Stars out of Hutchinson Naval Air Station in 1957. William recalled, “The Navy moved out in 1958, and the base soon thereafter became Hutchinson Air National Guard Base. of the Kansas Air National Guard's 177th Tactical Reconnaissance Squadron (courtesy of William Gilliland) at Hutchinson. 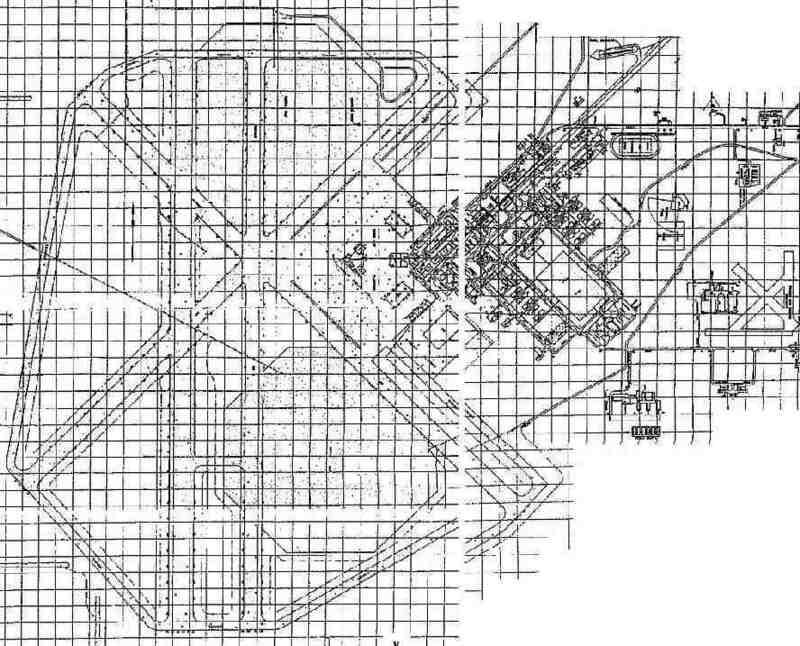 An 11/2/59 "Strategic Air Command, Wichita, Kansas, McConnell AFB, Base Layout Plan, Hutchinson A.S." (courtesy of Ron Plante). 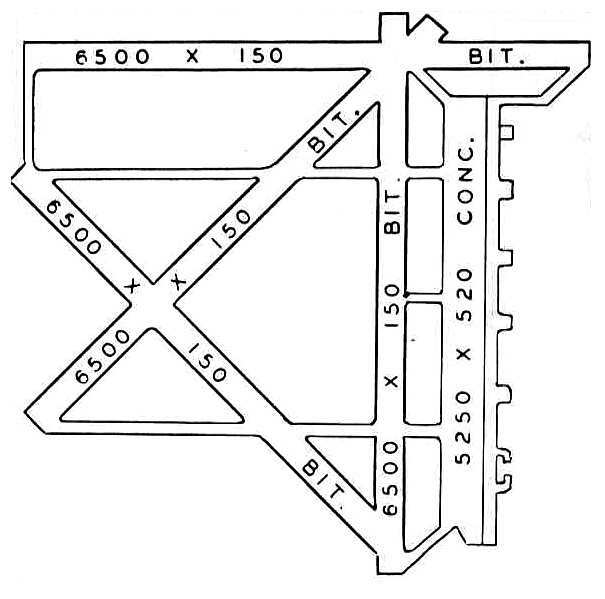 The miniature airfield depicted on the 1943 plan was no longer depicted at all. as having 4 paved runways, with the longest being 7,000'. 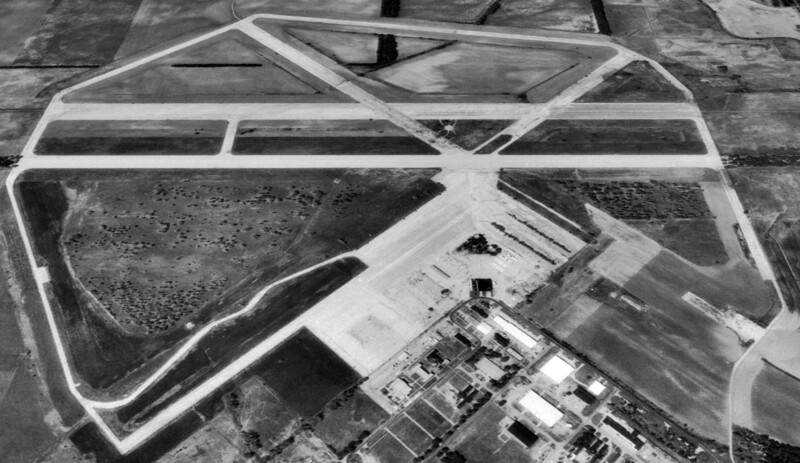 A circa 1959-60 aerial view looking west at Hutchinson Air National Guard Base (courtesy of William Gilliland). as well as numerous taxiways, the two large octagonal landing mats, a large ramp, and several hangars. 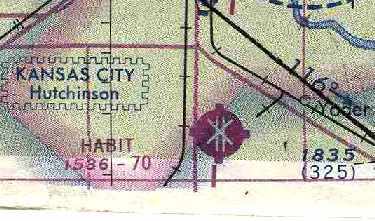 The airfield continued to be labeled "Hutchinson ANG"
on the May 1962 Wichita Sectional Chart (courtesy of Chris Kennedy) & the 1966 USGS topo map. Kevin Knoll recalled, “I went to grade school in Hutchinson in the 1960s while my dad was with the 190th KANG at Sunflower. One memorable Saturday, age 5, Dad took me on a tour. Steve Hurst recalled, “Once following a very heavy snow storm, the station's helo landed at the end of our street to pick up the station Commanding Officer. He lived in our neighborhood & couldn't get out the base due to the heavy snow. The other memory is from early 1960s when the field was home to a KANG RB-57 squadron. My next door neighbor's son, I went with him & his father, a maintenance chief, to watch a practice night photo run with 'flash bulb' -like flares fired from the bottom of the aircraft. Starting the RB-57 required the insertion of a large black powder shell into a chamber in the engine. was the sole operator of the base until 1967, when we were transferred to Forbes Field in Topeka. The base at Hutchinson was closed at that time. and the 1971 Wichita Sectional Chart (courtesy of Vince Granato). as that is how it was labeled on the May 1974 Wichita Sectional Chart (courtesy of Chris Kennedy). Bella Vista Manufactured Homes, Eaton Metal Tanks, Pioneer Seeds, etc. Many of the large wooden structures burned to the ground at various times in the late 1960s & 70s." Tom Dailey recalled, "In 1974, I was at Hutch' for a weekend of SCCA racing. Per my Uncle's descriptions... the wind NEVER quit, and the rain was pretty intense as well. Having been in the US Navy as a Radioman, I'll not forget the smells, sights, and sounds of the old terminal building... late at night. and the chatter of aircrews preparing for an early-morning navigation mission. It was very eerie, indeed. and that good old lead-based Navy grey paint was intact and in good shape. It was a trip back in time." 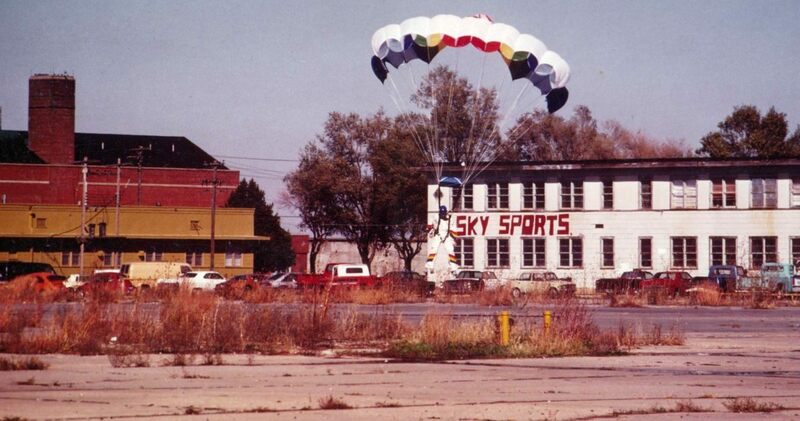 A circa 1981-84 photo by Kevin Knoll of a parachutist landing in front of the Sky Sports building at Hutchinson. 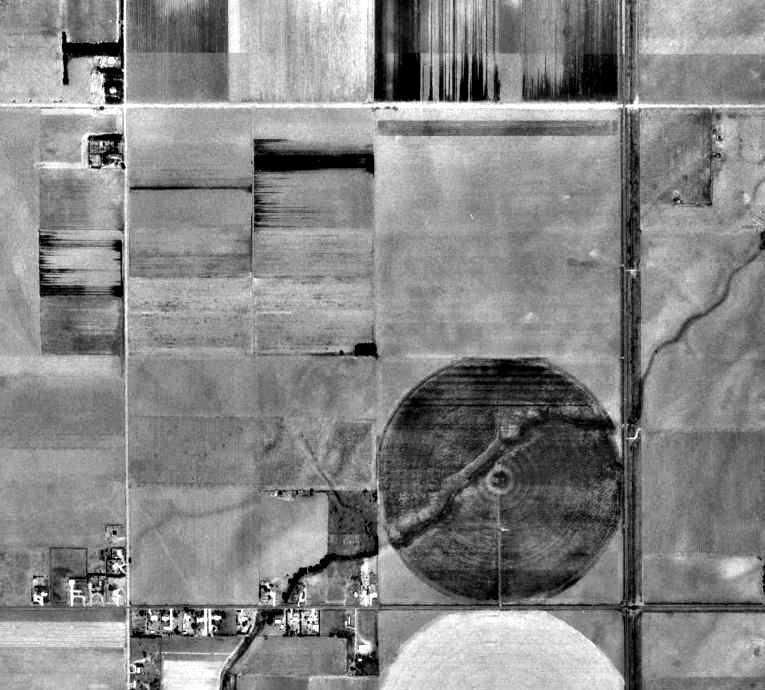 A 1992 USGS aerial view looking west showed that Hutchinson's remaining pavement on the former Runways 3/21 & 12/30 had been removed. Runway 17L/35R appeared to be the only runway to still be maintained. The pavement of Runway 17R/35L remained intact, but in significantly worse condition. which is ironic, given the airfield's large size. as well as the Kansas Law Enforcement Training Center on the west side. The runway is used for emergency vehicle training." A 2003 photo by Terry Martin of the remains of a runway at Hutchinson. A 2003 photo by Terry Martin of the former control tower & other buildings which remain standing at Hutchinson. 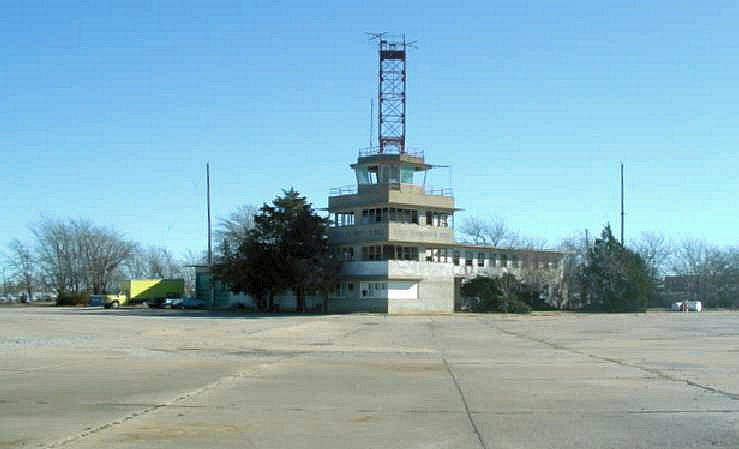 A 2003 photo by Terry Martin of the former control tower which remains standing at Hutchinson. Terry Martin recalled, "My dad was stationed at NAS Hutchinson. 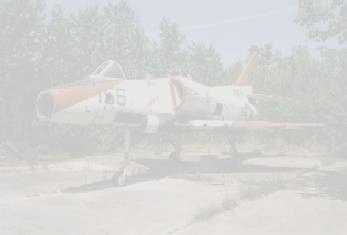 While visiting family last week [in 2003] that still lives in Hutchinson we visited the old air base. 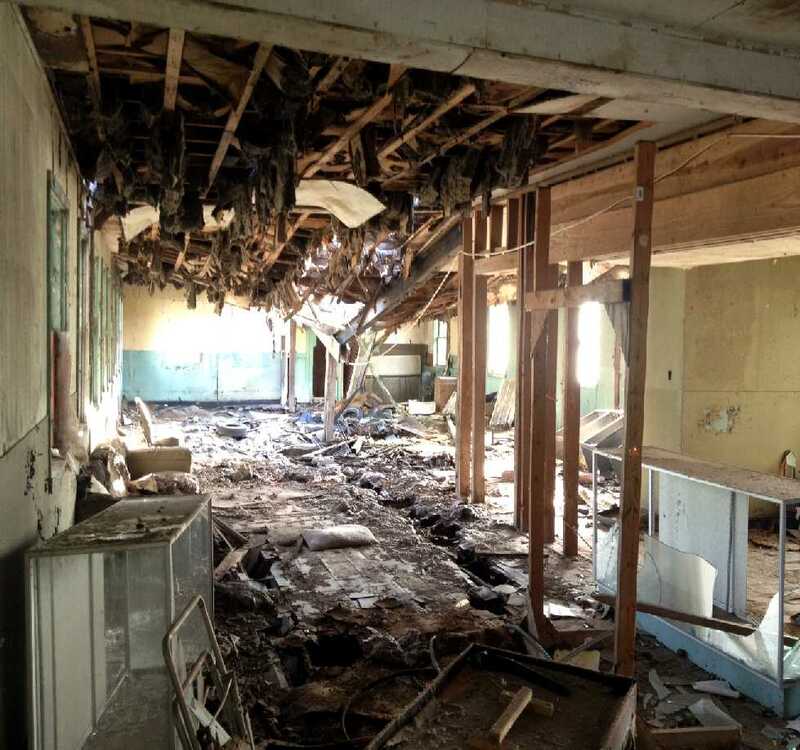 and the ceiling & floors are in bad shape. The present owner told us it was OK to look around so we did." A May 2004 aerial view by Randy Colby looking west at the Sunflower Gliderport, taken from a Schweizer 2-33 glider. Laura Laster reported in 2004 that "Sunflower Field" was described in a book called "Ghosts of the Air" by Martin Caidin. except for the Link Trainer, parachute packing, commissary, tower, and administration buildings. The large hangar foundations are still there. I found the steps that once led up to the pool building still in good shape. An ambulance conversion business has built their factory right on top of the old foundation." 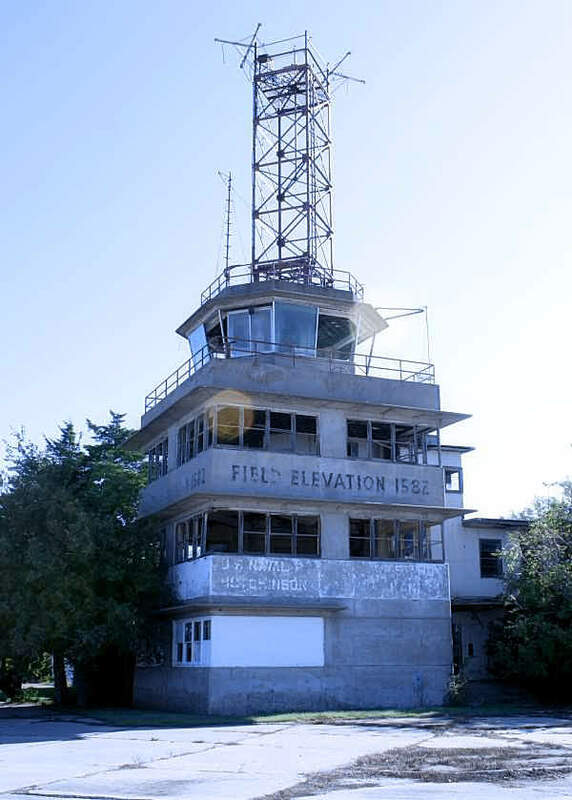 A 9/15/08 photo by Susan Ford of the former NAS Hutchinson control tower. A 2012 photo by Josh Peach of the NAS Hutchinson control tower. A 2012 photo by Josh Peach of the interior of the NAS Hutchinson control tower. A 2015 aerial view looking west at Hutchinson showed Runway 17L/35R was the only runway still maintained. 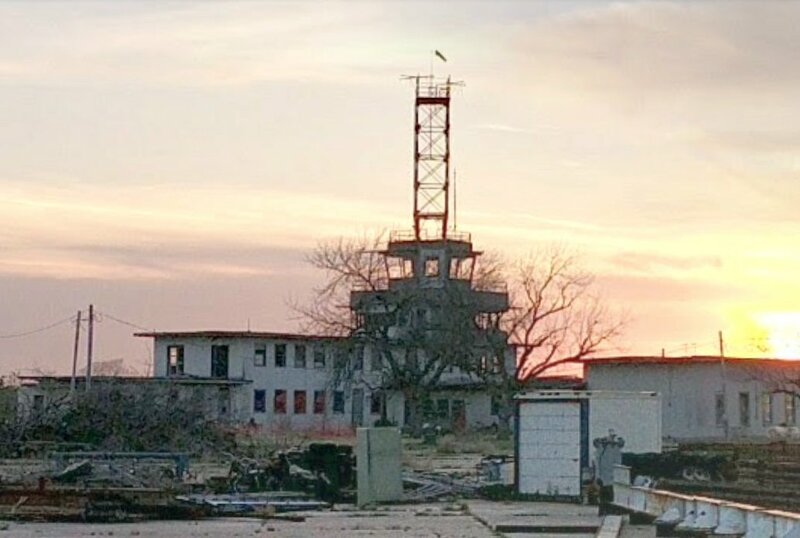 An April 2017 photo looking west at the sad state of the NAS Hutchinson control tower. 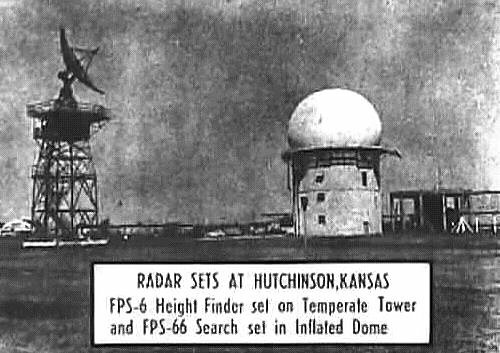 Undated photo of Hutchinson AFS radars. which was established in the 1950s as an early-warning radar installation. 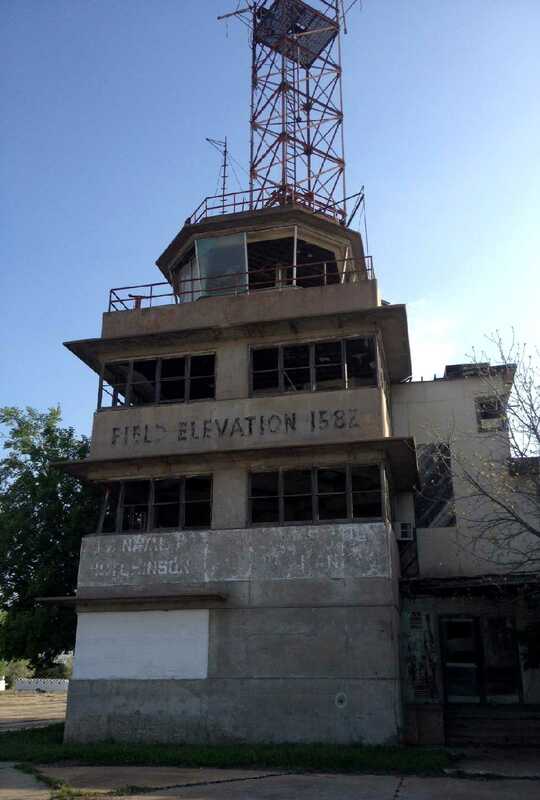 "Real Estate, Hutchinson Air Force Station (Z-47), Hutchinson Air National Guard Base, Military Reservation"
The radar site is still in use today by the FAA. 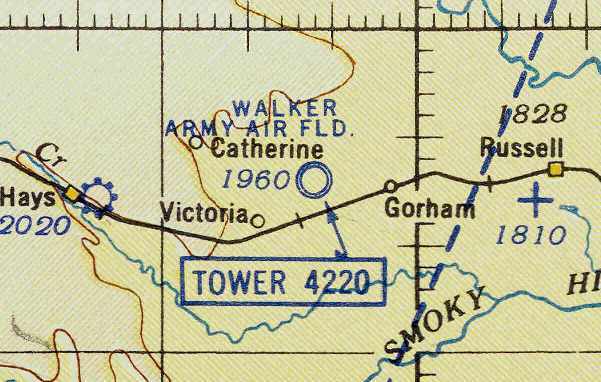 Walker AAF, as depicted on the February 1943 8M Regional Aeronautical Chart (courtesy of Chris Kennedy). in the training of heavy bomber crews, primarily B-17s & B-24s. Construction began on September 14, 1942. Originally, the field had one hangar. Three runways were constructed, each measuring 8,000' x 150', along with a 375' x 300' apron. 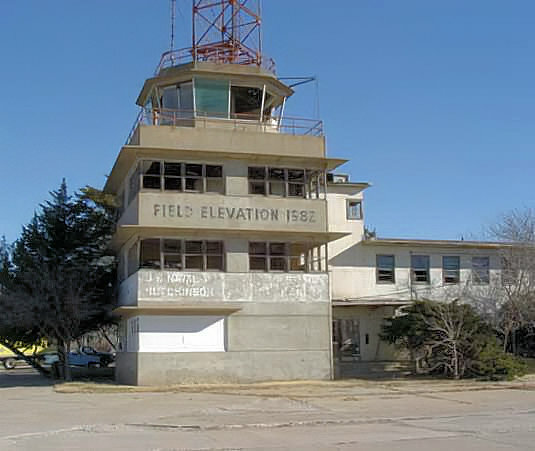 It was known for a time as Hays-Walker Airfield. to prepare for its new mission as one of 4 fields in Kansas intended to train B-29 bomber crews. was on the February 1943 8M Regional Aeronautical Chart (courtesy of Chris Kennedy). bringing the base to its ultimate complement of 5 hangars. was a 10/6/43 aerial view looking north from the 1945 AAF Airfield Directory (courtesy of Scott Murdock). 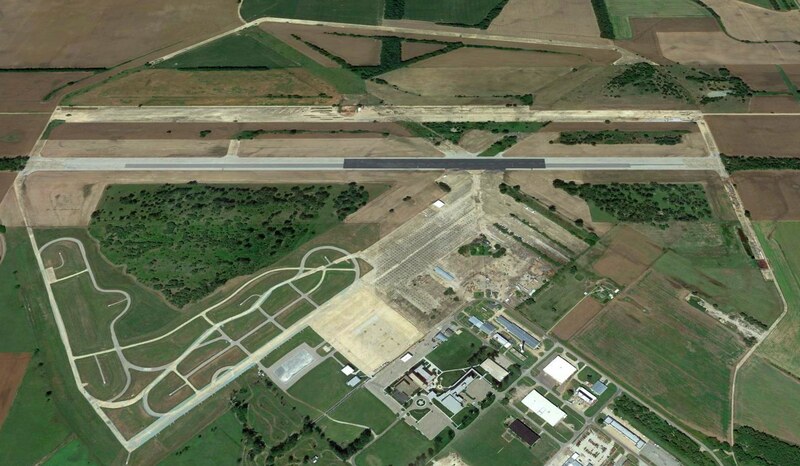 It depicted Walker as having 3 paved runways, a huge paved ramp, and several hangars. showed large numbers of B-29s & 5 large hangars. showing large numbers of B-29s, 5 large hangars, and the control tower. A recreation of the WW2-era configuration of Walker AAF via Flight Simulator scenery created by Robert Pearson. A WW2-era view of a Walker hangar & control tower (courtesy of Keith Goetz). described Walker AAF as having a 6,800' hard-surface runway. on the March 1945 Salina Sectional Chart (courtesy of Chris Kennedy). as a 1,760 acre irregularly-shaped property having 3 concrete runways. The field was said to have 5 concrete hangars, the largest being a 202' x 145' structure. The field was said to be owned by the U.S. Government & operated by the Army Air Forces. and was transferred to the District Engineers, Kansas City. although apparently no Air Force personnel were assigned there in the post-war period. 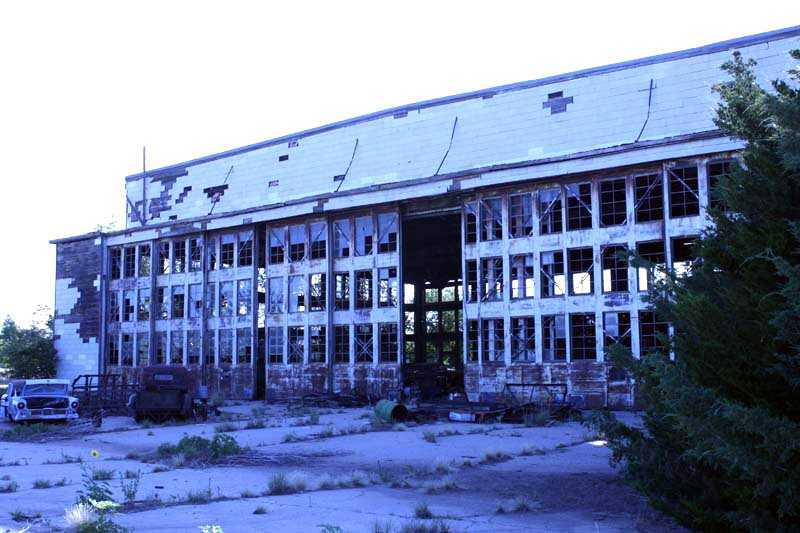 The hangars were used for grain storage & the runways for drag racing during the 1940s & 1950s. From 1948-1952, crop-dusting planes were stored in the old Maintenance hangar. both of which depicted the field as having a 8,000' hard surface runway. In December of 1958 the government held an auction to sell the many acres of the former airfield. It was purchased by Don & Ida Pratt. 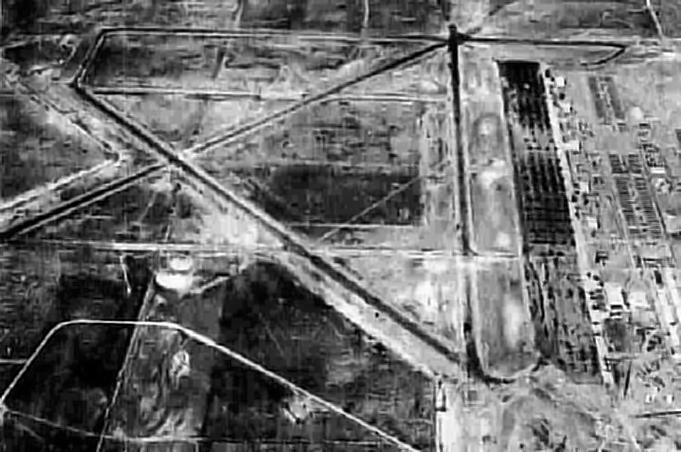 A 5/25/59 USGS aerial view depicted the massive aviation infrastructure which remained at the site of Walker AAF. Two Walker AAF hangars burned down in 1959. 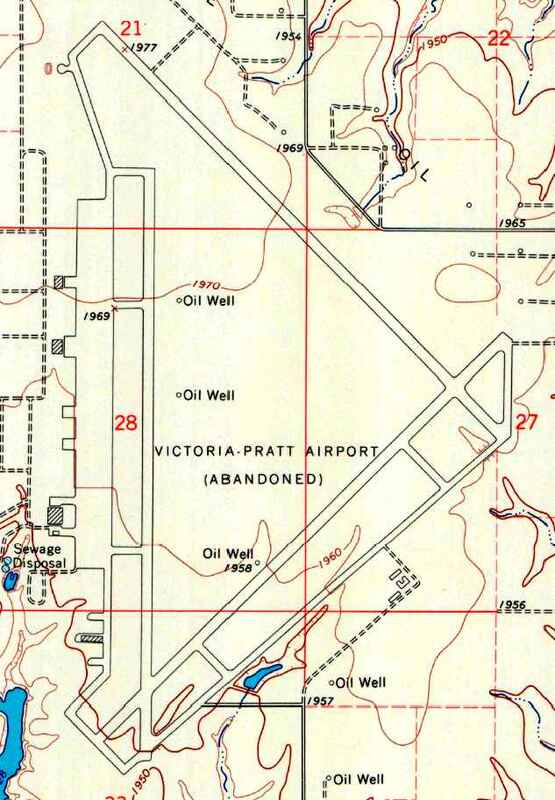 "Victoria-Pratt" was depicted as a private airfield. and the remarks said: "Private. North/South only runway open. Use caution." as having 3 paved runways, taxiways, a ramp, and 3 hangars. The former Maintenance hangar burned down in 1967.
and it was not listed among active airfields in the 1968 Flight Guide (courtesy of Robert Levittan). on the 1971 Wichita Sectional Chart (courtesy of Vince Granato). 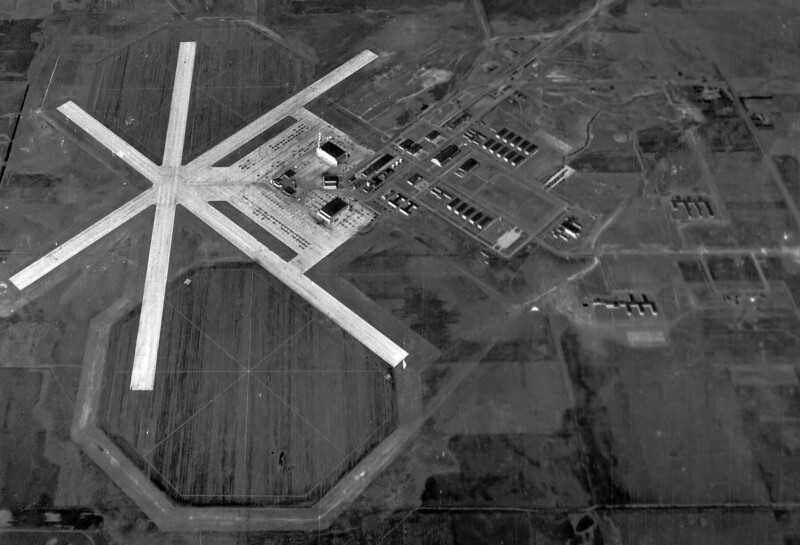 In 1971, the Air Force leased the NE/SW runway for a study dealing with explosive cratering. However, the current owner of the site has said the study had been done shortly after WW2. The craters are still visible & vegetation & trees have voluntarily grown in the crater holes. Keith Goetz confirmed, “The runways were bombed in the early 1970s. The Walker property was sold in 1991 to Wilfric Karlin for around $2 million. In 1992 government personnel and property owner Wilfric Karlin performed a walkover. with 0.30 & 0.50 caliber casings & bullets found on the former target range at the north end of the site. The sewage treatment system in the southwest part of the field was still present although inoperable. All pollution was cleaned up with government funds reserved for such operations after the walkover. A 2001 photo by Steve Arthur of what was previously the main entrance gate of Walker AAF. The grassy area in the middle of the photo is where the gate shack stood. The base headquarters was located just beyond the water tower & to the right. The road which leads into the base was designated "B" street. A 2001 photo by Steve Arthur looking west at the front of Hangar "B". and near the large sheet of metal, that speck is me. To give you an indication as to how large these hangars are, I'm six foot two inches tall. I was told that these hangars were capable of housing two B-29s. 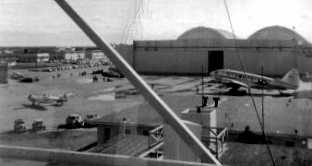 Walker also had a maintenance hangar which was capable of housing four B-29s. The maintenance hanger no longer stands due to a senseless act of arson. 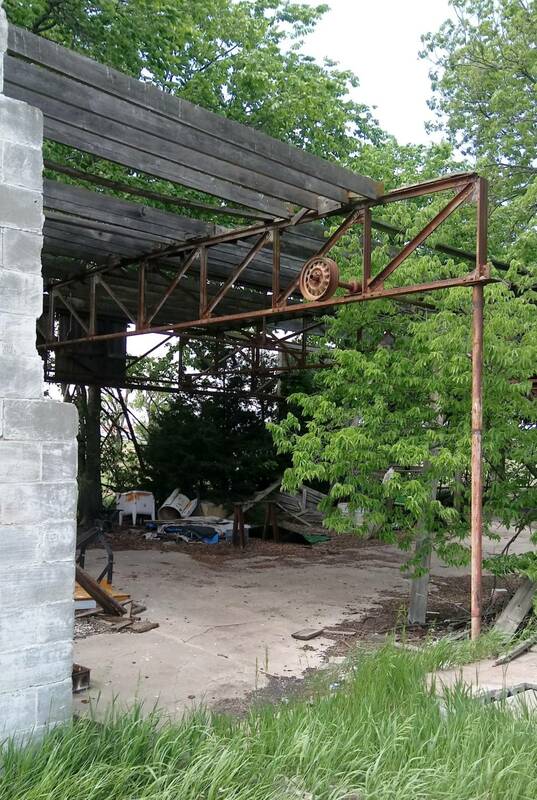 Two other of Walker's hangars have met the same fate in recent years." A 2001 photo by Steve Arthur of the interior of Hangar B. 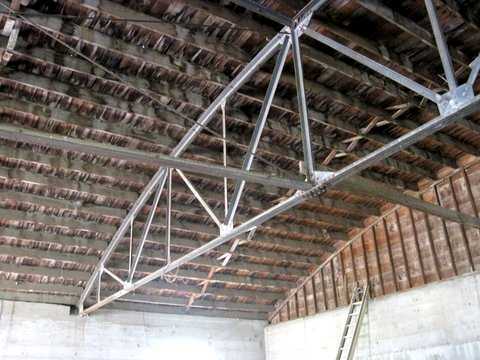 "Wood rather than steel were used for the trusses of all the hangars in order to curtail the use of war critical materials. The majority of the buildings on Walker were either of wood frame or poured concrete construction. What little brick that was used, was of lower quality & was known as 'War Brick'. it was under the assumption that they would not be needed more than five years. Fifty six years later most are still standing." A 2001 photo by Steve Arthur of the remains of one of the squadron Operations Buildings along the north end of the field. which was used to secure the sensitive Norden bombsights. A 2002 aerial view looking north at Walker AAF. A 2002 aerial view by Dan Wright looking southwest at the the ramp & remaining hangars at Walker AAF. A 2002 aerial view by Dan Wright looking northwest at the craters on the NE/SW runway. (except for the aforementioned test craters in the NE/SW runway). Two original military hangars still stand alongside the ramp. The site is presently used for agricultural purposes. they've started grinding up the runways & selling the aggregate for such things as driveways. 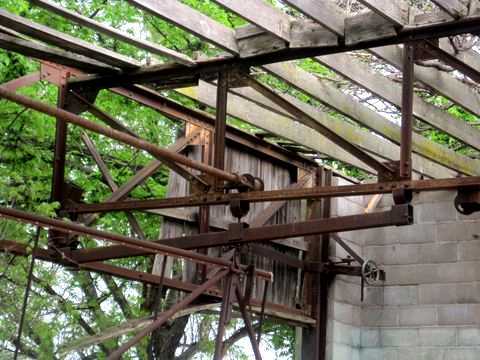 A June 23, 2008 photo by Susan Ford of the ruins of a Walker hangar. A June 4, 2009 aerial view by John English looking northeast at the massive Walker runways, taken from a “mighty 152”. A June 4, 2009 aerial view by John English looking southwest at the remains of 2 Walker hangars. A 2016 aerial view looking east at the remains of Walker AAF. The ramp pavement & a portion of 2 runways & several taxiways remain, but the majority of the runway pavement has been removed. A 1943 aerial view showing Dodge City AAF while under construction (courtesy of Patrice Laverdet). 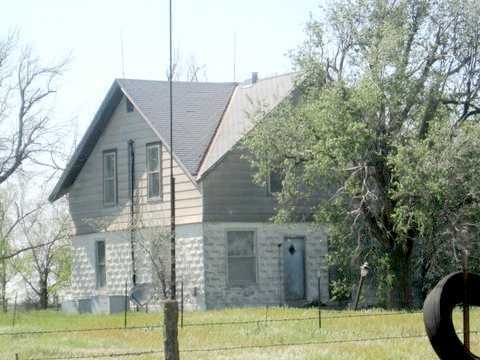 Dodge City AAF was located 6 miles northwest of the town of Dodge City. to train pilots & crews of medium bombers, primarily B-25s. 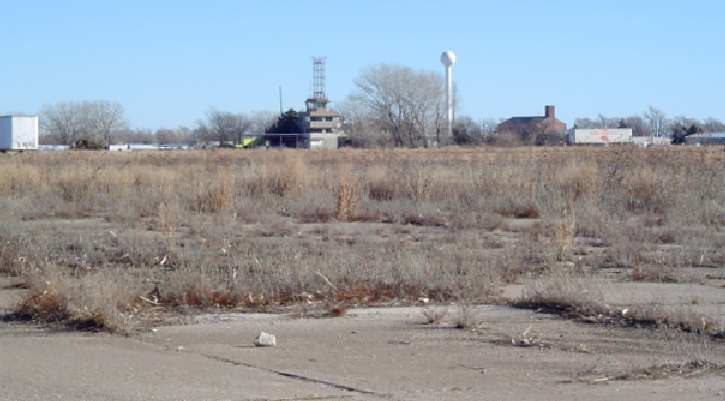 According to an Army Corps of Engineers report, the Dodge City AAF base encompassed a total of 2,560 acres. Dodge City was also used during WW2 to train French aircrews (as covered in a French-language web site). 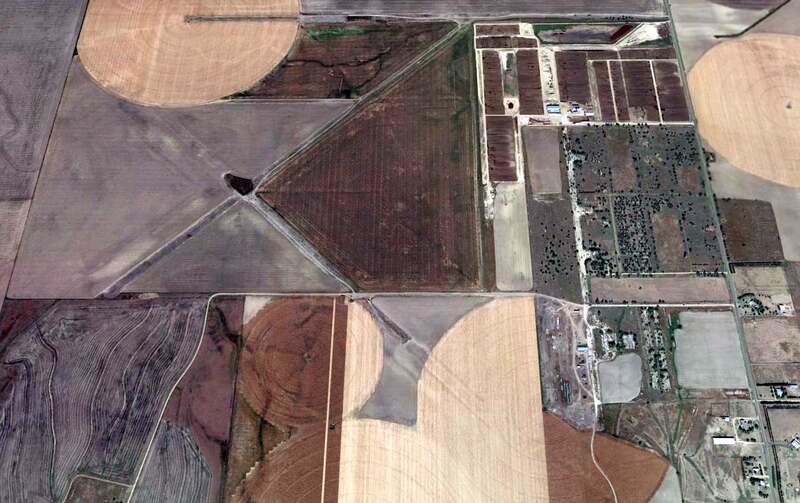 described Dodge City as having 4 asphalt 6,500' runways & one satellite field: Auxiliary #4A. 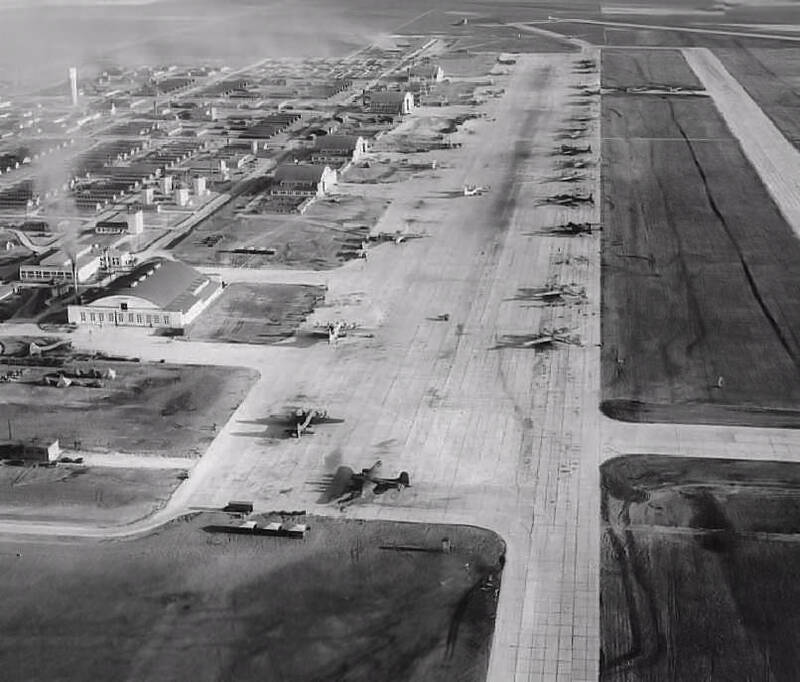 depicted Dodge City AAF as having 3 paved runways, a huge paved ramp, and several hangars. A series of photos of Dodge City AAF in 1943.
was on the February 1944 Wichita Sectional Chart (courtesy of Chris Kennedy). described Dodge City AAF as having a 6,500' hard-surface runway. A circa 1940s photo of B-26 Marauder bombers on the snow-covered apron of Dodge City AAF (courtesy of Rex Ricks). They were used by the base's advanced twin-engine school. on the March 1945 Wichita Sectional Chart (courtesy of Chris Kennedy). 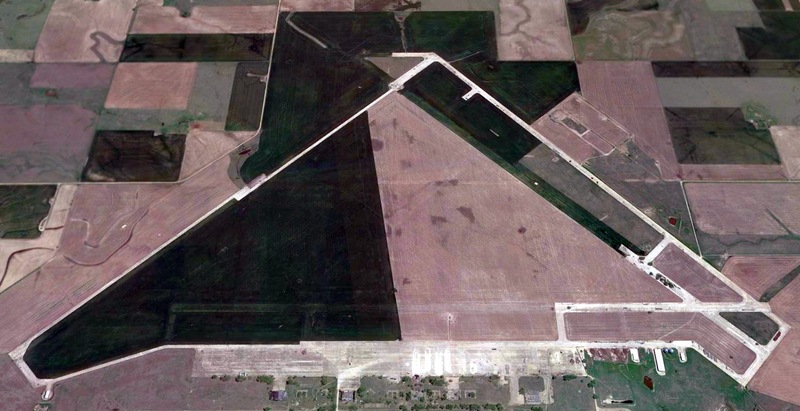 as a 2,536 acre square-shaped property having 3 bituminous 6,500' runways. The field was said to have 5 wooden hangars, the largest being a 202' x 162' structure. and to have one auxiliary field: #4 Jetmore Field. 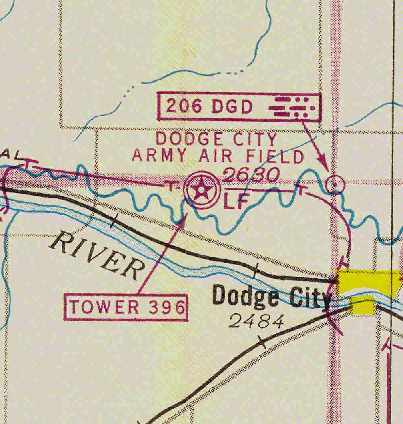 The Army is reported to have departed Dodge City AAF in 1945. However, it was still labeled "Dodge City AFB" on the March 1949 Wichita Sectional Chart (courtesy of Chris Kennedy). It was depicted as having a 6,500' hard-surface runway. as it was listed as "Dodge City Municipal Airport (Ford County)"
in the 1949 KS Airport Directory (courtesy of Chris Kennedy). and a 5,250' long concrete ramp along the east side of the field. had they all been removed by this time? The airport was not attended, and the manager was listed as William Meade. as having a 6,500' hard surface runway. 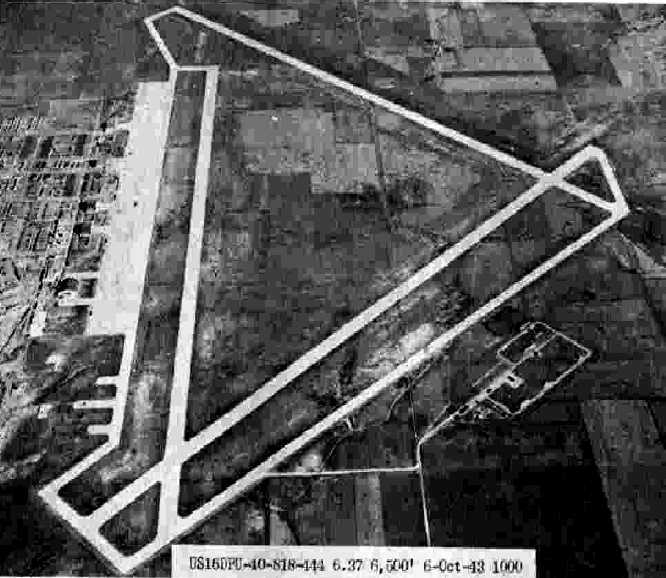 depicted Ford County's longest runway as having gone down to 4,200'. 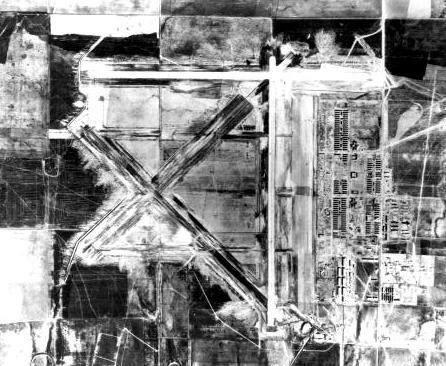 A 12/19/54 USGS aerial photo did not show any aircraft visible at Ford County Airport. 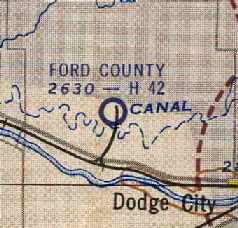 Ford County Airport was not depicted at all on the 1955 USGS topo map. 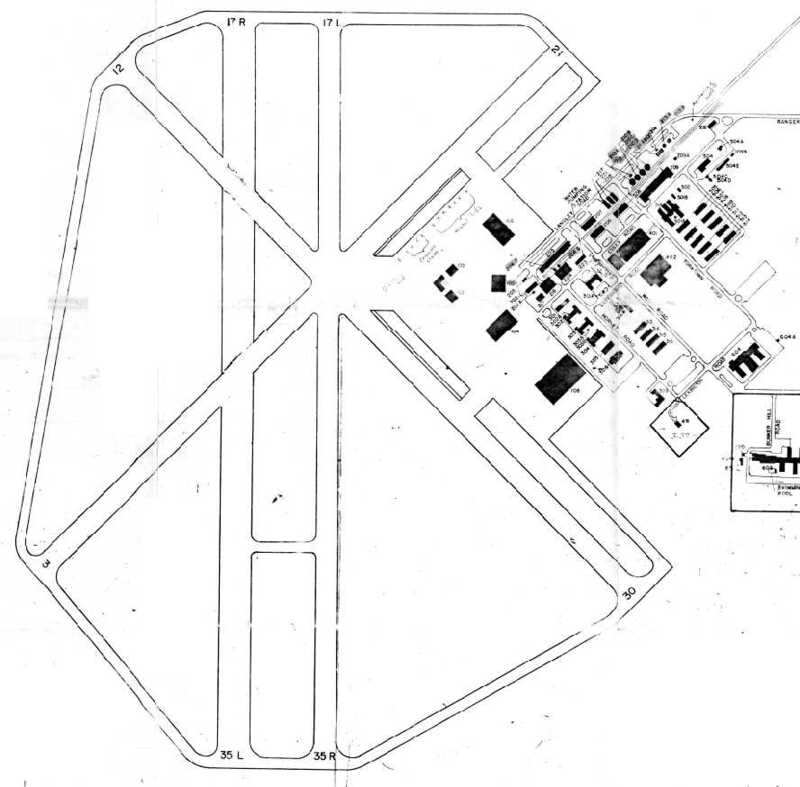 as it was depicted as "Abandoned airport" on the May 1962 Wichita Sectional Chart (courtesy of Chris Kennedy). 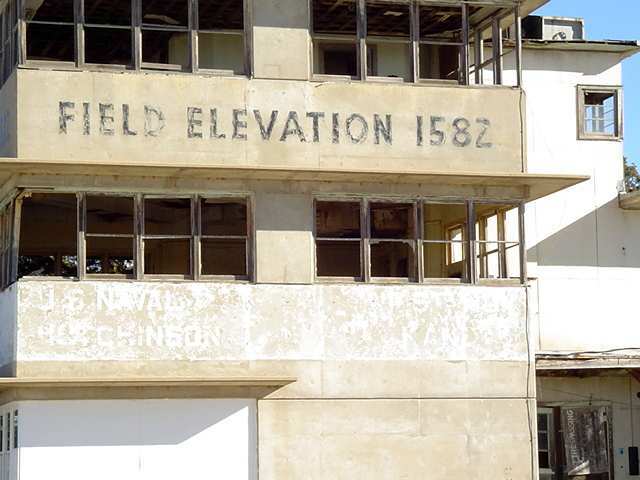 The airfield & its buildings were subsequently reused for a variety of commercial purposes. 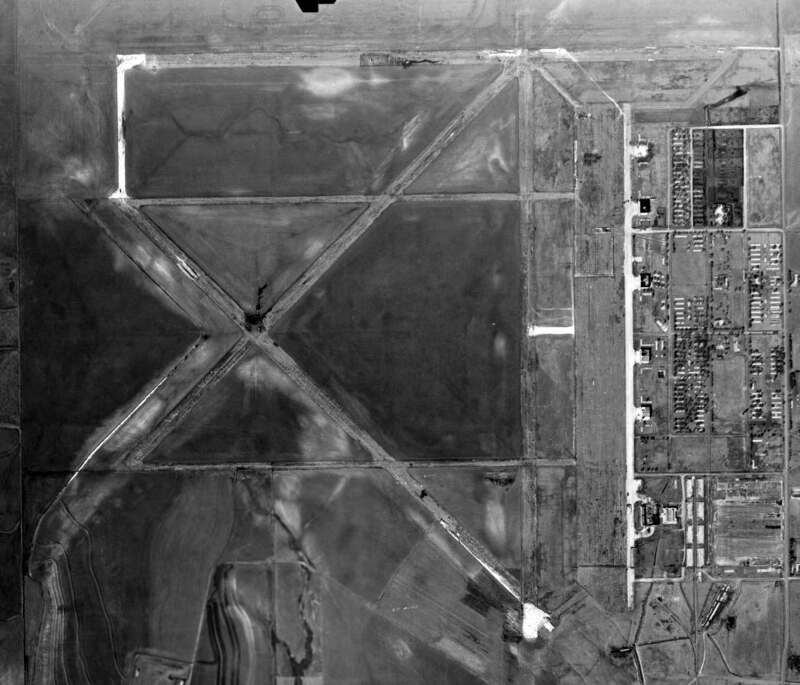 The extensive aviation infrastructure of Dodge City AAF had deteriorated quite a bit by the time of a 3/6/65 USGS aerial photo. Chuck Regnier recalled, “From 1976 I lived in Dodge City. I was in the truck driving class which was located at the old airfield. At that time there were 3 hangars, two unknown buildings & the old firehouse still standing. once in a while we would run up & down the southeast/northwest runway. The others were in such poor condition that the trucks would have been severely damaged had we ventured out on them. Also the guard shack at the old maingate was still standing. This disappeared in 1974.
we were dispatched to the airfield on a structural fire. The old firehouse was on fire. It had been turned into a residence. just the adjacent street grid. but were being progressively removed for farming. A 1999 photo by Steffani Day of the some of the remaining erect structures at the former Dodge City AAF - brick chimneys. "(and a few old building foundations) are the only part of the facility that a passerby can get close to. The hangar and, I assume, the runways have been gated by the current owner." 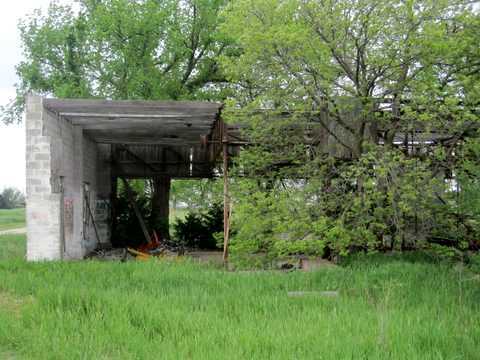 A 2007 photo by Scott Murdock of a Dodge City hangar which remains standing, heavily overgrown. 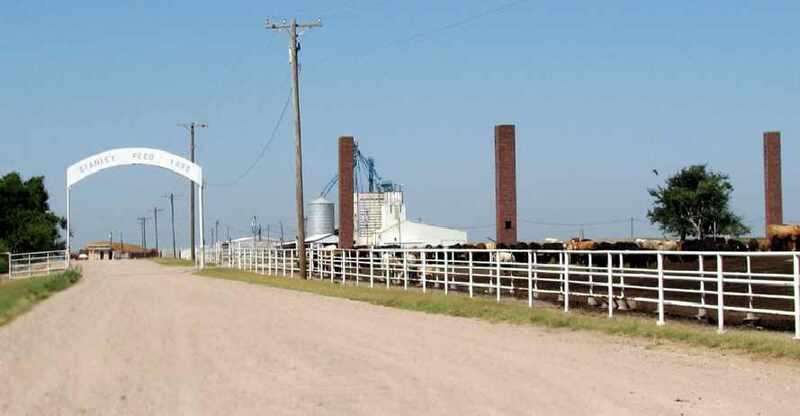 A 2007 photo by Scott Murdock of a the entrance to the Stanley Feed Yard, which occupies the site of Dodge City AAF. Brick chimneys remain from the former airfield buildings. 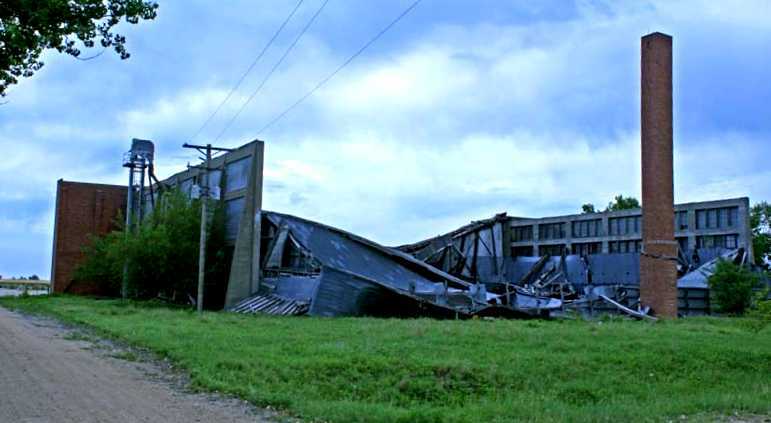 A 7/15/08 photo by Susan Ford of a Dodge City hangar which remains standing, heavily overgrown. 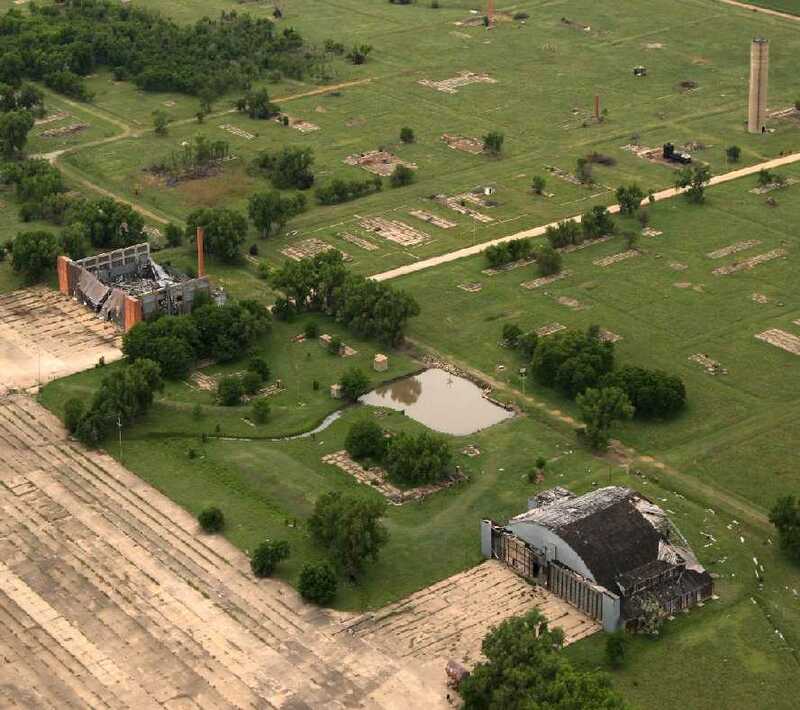 A 2013 aerial view looking north showed the remains of the extensive Dodge City airfield.